The Rock of Cashel, also known as Cashel of the Kings and St. Patrick’s Rock, is a historic site located at Cashel in County Tipperary. 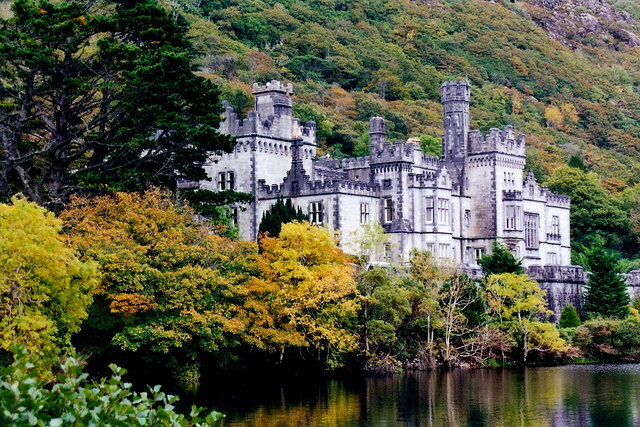 It is one of the most spectacular attractions in Ireland. 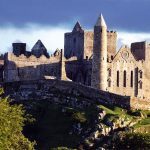 So if you are looking for a complete guide for your Rock of Cashel tour, here are tips and guide for first-time travelers. Castle means stone fort. It is said that there’s a big stone at the top of the fort that played a significant role for rituals and ceremonies. When was the Rock of Cashel built? Why is the Rock of Cashel famous? Aside from its beautiful structure and scenic spot, the Rock of Cashel is also known for its important play in history and religion. The Cashel is associated with two famous legendary people in Ireland. It was said that St. Patrick arrived in Cashel and baptized the King Aengus in AD 432. The Rock of Cashel also played a significant part on the historical inauguration and ceremonials of the royals before including the inauguration of Brian Boru, the King of Munster at 978. He was the first King of Munster to become the High King of Ireland at 1002 and the only Irish ruler to unite all of Ireland for a significant period. After the Battle of Clontarf, there weren’t any buildings left in the fort except for the remnants of the residential castle and the fort itself. The reconstruction began at 1100 and added more structures in the area that includes a cathedral, a chapel, a graveyard, and the round tower. The round tower is the tallest building in the fort at 28 meters high and the oldest building that dates back at 1100. 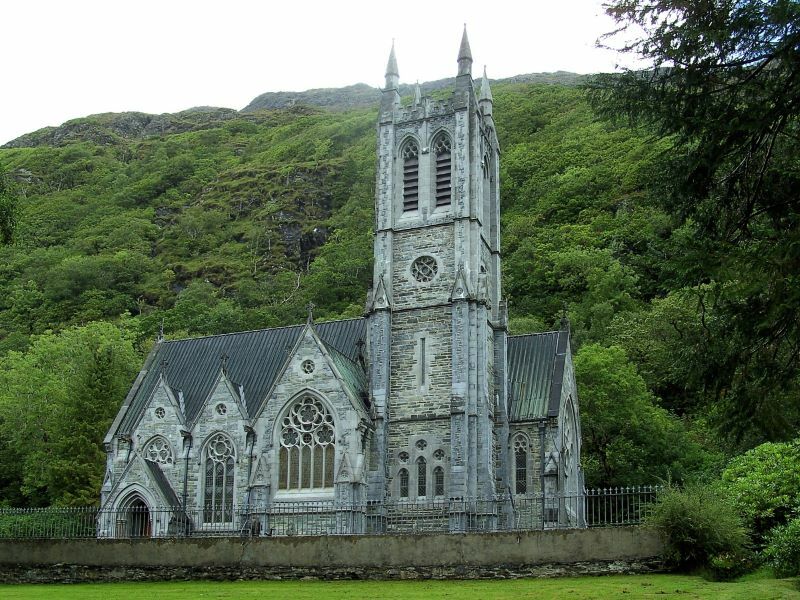 The Cormac’s Chapel, the chapel built for King Cormac Mac Carthaigh begun in 1127 and finished at 1134. Upon the permission of the Vatican to set up four archbishoprics in Ireland, the cathedral was built between 1235 to 1270 and the tower house castle to house the archbishop of Cashel. From then on, the Rock of Cashel didn’t only become a historically significant but also played an important role in the religion. Brian Boru’s grandson, Muircheartach Ua Briain, gifted the Rock of Cashel to the church as a way to win the heart of the people as the McCarthys, a political rival, were gaining power and was also interested to the symbolic Cashel. Also with the church’s rising power and influence, the McCarthys won’t be able to possess the Cashel as the public would favor the church. One of the most significant events in the history of Cashel is the Sack of Cashel that happened in 1647. During the Irish Confederate Wars, Oliver Cromwell commanded Murrough O’Brien and his English Protestant Parliamentarian army to attack the town of Cashel. The residents took refuge at the Cathedral in Rock of Cashel but they were followed by the army and killed all of them including the Irish Confederate troops and the Catholic clergy. The massacre resulted in roughly 1000 lost lives. Murrough O’Brien’s troops destroyed several important artifacts and it resulted in the slow decline of the Rock of Cashel. How many people visit the Rock of Cashel? 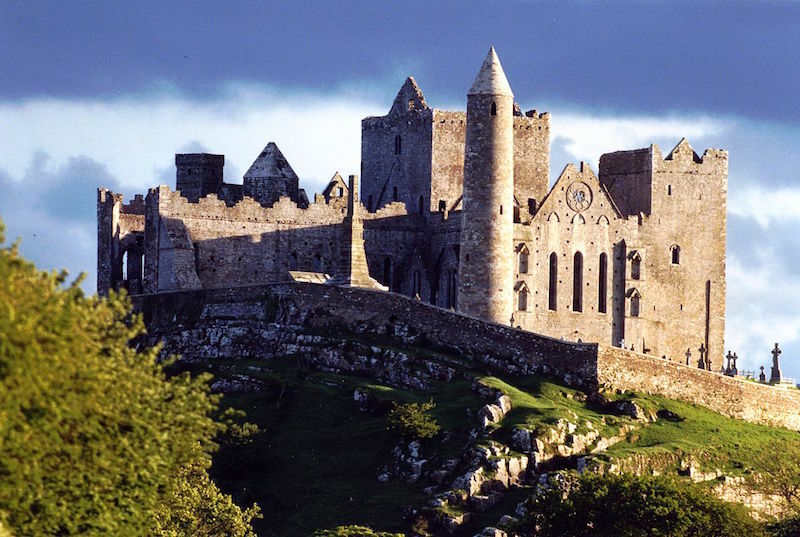 Now, the Rock of Cashel is an important landmark in Ireland and it is also one of the most visited attractions in the country with almost 400,000 annual visitors. Rock of Cashel is over 167 kilometers from Dublin. If you don’t have a car, you can take the Bus Eireann (#X8) from Busaras Bus Station to Main St. This takes about 2 hours for €24-29 a trip or €48-58 for a round trip. The bus leaves every 4 hours. Then from the bus stop, just walk about 10 minutes to get to the entrance of Rock of Cashel. 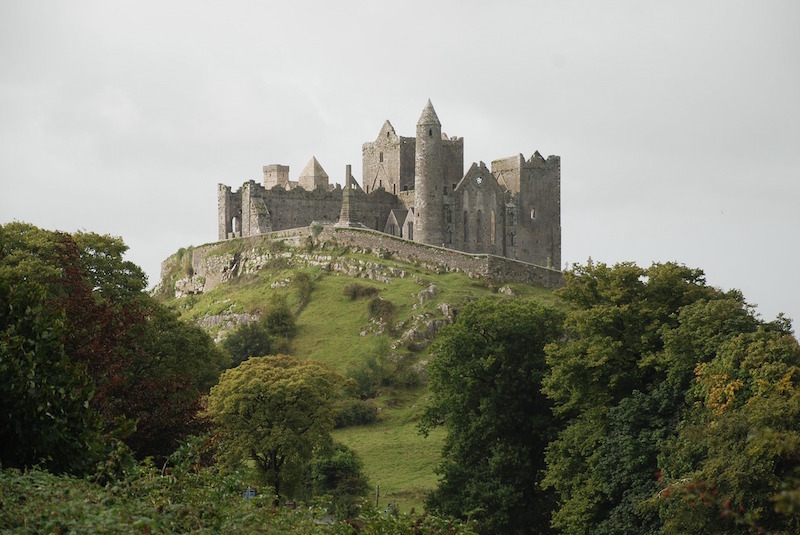 The Rock of Cashel is one of the best day trips from Dublin. 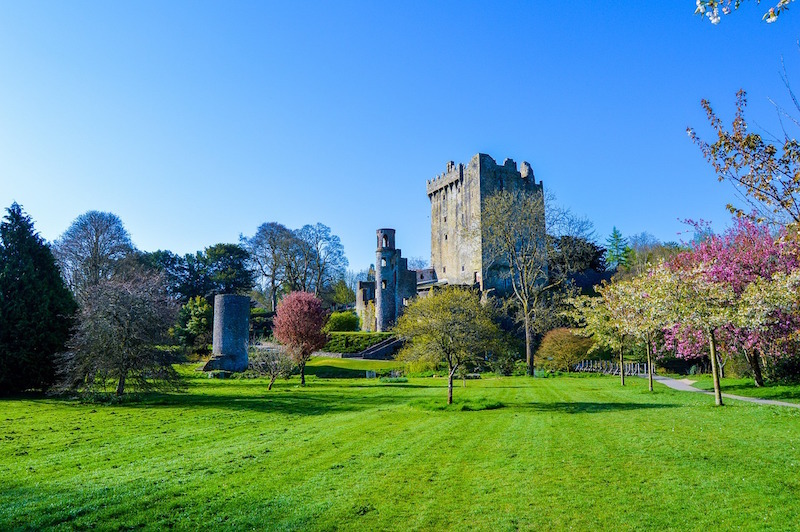 Or you can also get this Rock of Cashel tour from Dublin includes a tour to Blarney Castle, Cahir Castle, and the Rock of Cashel for €60. Rock of Cashel is over 160 kilometers from Galway. If you don’t have a car, you can take a train to Limerick Junction for €57-78. This takes almost 3 hours and trains only run twice a day. Then take a taxi from Limerick Junction to the Rock of Cashel. This takes about half an hour for €30-40 a trip or €60-80 for a round trip. Rock of Cashel is over 93 kilometers from Cork. If you don’t have a car, you can take the Bus Eireann (#X8) from Cork Bus Station, Cork Parnell to Main St. This takes about 1 hour and 40 minutes for €16-20 a trip or €32-40 for a round trip. The bus leaves every 4 hours. Then from the bus stop, just walk about 10 minutes to get to the entrance of Rock of Cashel. Or you can also take this Rock of Cashel tour from Dublin includes a tour to Kilkenny and Rock of Cashel for just €45. It is also one of the best day trips from Cork. Rock of Cashel is over 83 kilometers from Shannon City. 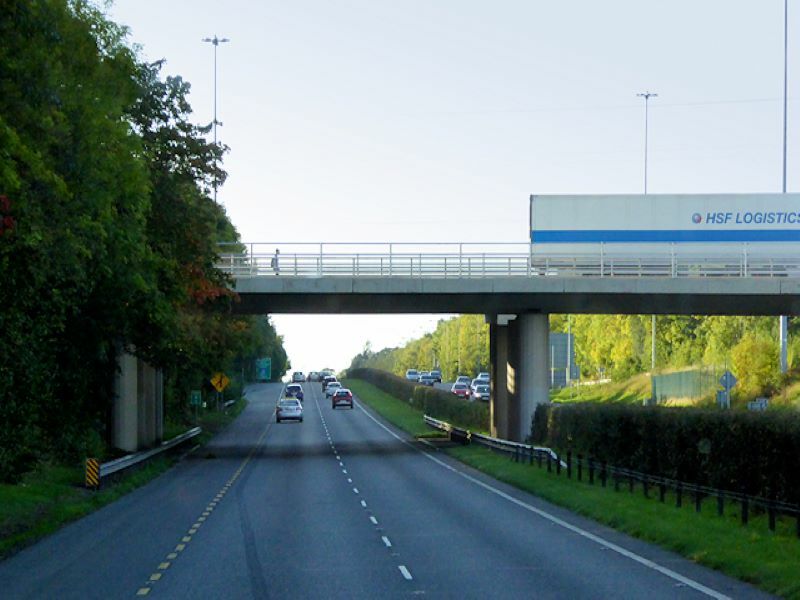 If you don’t have a car, taking 3 connecting buses from Shannon to Rock of Cashel is the cheapest option for public transport. From Drumgeely Road, you can take a Bus Eireann (#343) to Glentworth. This takes almost 40 minutes for €7-9 one way or €14-18 round trip. 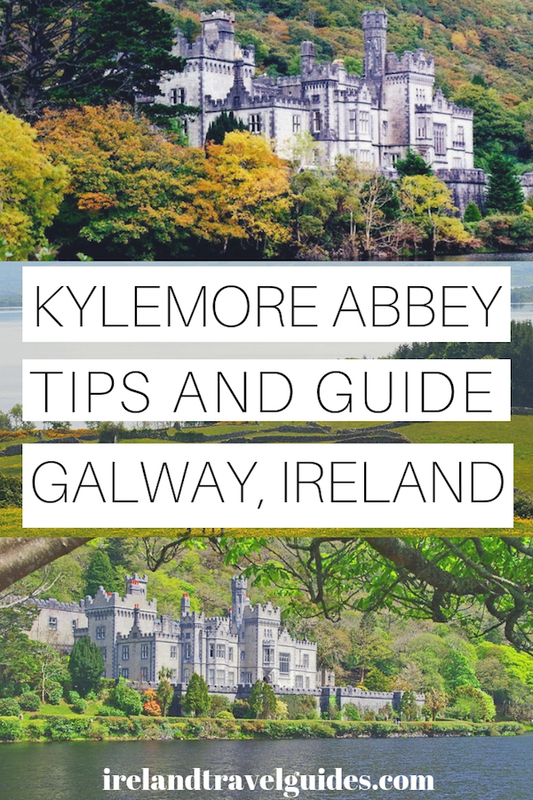 And then from Glentworth, take a bus (#55) to Tipperary and get off at Abbey St which takes about 35 minutes for €5-7 a trip or €10-14 for a round trip. Then from Abbey St, take another bus (#T41) to Cashel which takes 30 minutes for €4-6 a trip or €8-12 for a round trip. Rock of Cashel is over 61 kilometers from Limerick. If you don’t have a car, you can take a train to Limerick Junction for €7-11. This takes almost 30 minutes and the train runs hourly. Then take a taxi from Limerick Junction to the Rock of Cashel. This takes about half an hour for €30-40 a trip or €60-80 for a round trip. There are several tours that go to Rock of Cashel. It just a matter of starting point. Below are some of the best day tours to Rock of Cashel that we recommend if you are staying in Dublin or Cork. This Rock of Cashel tour from Dublin includes a tour to Blarney Castle, Cahir Castle, and the Rock of Cashel for €60. 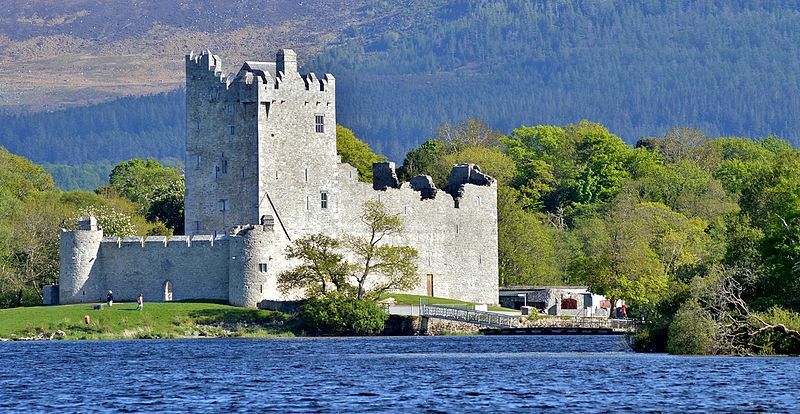 If you want to see more sights from Dublin, this 2-day tour includes a trip to the top tourist spots in Ireland: Cliffs of Moher, Blarney Castle, the Burren, Braveheart battlefields, the city of Cork and the Rock of Cashel. And it is only €149. This Rock of Cashel tour from Dublin includes a tour to Kilkenny and Rock of Cashel for €45. Belfast is the largest city in Northern Ireland and along its size comes with a rich historical and political background. It is also best known for a lot of things like the Titanic and CS Lewis. All these events gave birth to a lot of Belfast tourist attractions that first-time or frequent visitors will surely don’t want to miss. Today, there are a lot of museums and landmarks that you would want to include in your Instagram feed if you’re paying a visit. 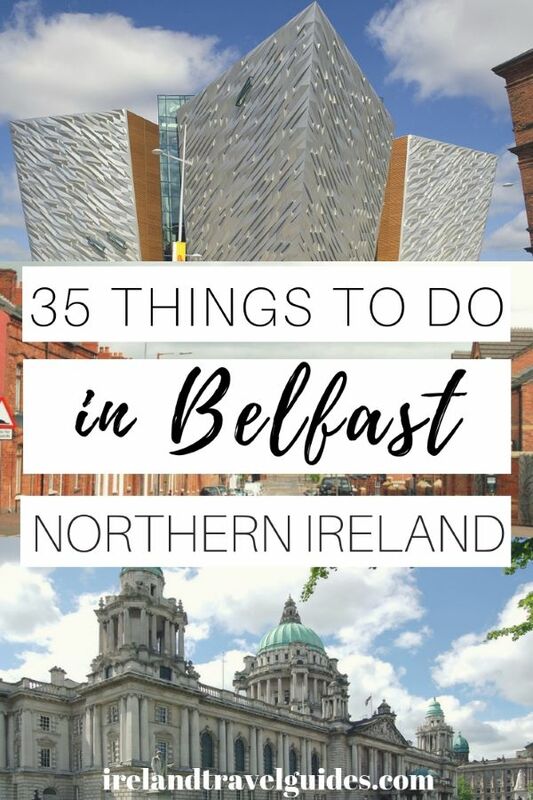 So if you’re planning to visit Belfast anytime soon, here are 35 fun things to do in Belfast City to check out. For first time visitors, a sightseeing tour is always a good idea to know about the city you’re traveling to. There are different kinds of sightseeing tours in Belfast. The first kind is the walking tour which usually starts at the city center. This kind of tour focuses on a certain topic and the destinations are usually nearby. There is also the sightseeing bus tour which is hosted by bus companies. Advanced booking is usually needed for this. Belfast also has a boat sightseeing tour. Also known as the Belfast Cathedral, St. Anne’s Cathedral is one of the best known Belfast attractions. This cathedral has a deep history along with its numerous renovations and expansions. In 2007, a steel spire became one of the most interesting additions to this cathedral because it lights beautifully at night. Aside from the steel spire, there are also other interesting elements you can find inside the cathedral-like Good Samaritan Windows and mosaics. St. George’s Market is one of the oldest Belfast attractions. This weekly market has been implemented since 1604 and until the present day, it still sells various fresh and local produce. Aside from this foodstuff, ornaments, souvenirs, trinkets, and other memorabilia are also sold in this market. Ready-to-eat foods like sandwiches and coffees are also available for visitors who need a quick snack. If you’re craving for some fresh seafood, you can also get some here. A stroll around St. George’s Market is best to cure a boring weekend in Belfast City. Live local artists and bands are also entertaining the shoppers. Grand Opera House is the remaining Victorian theater in Northern Ireland in present times. This theater has become one of Belfast popular landmarks and is popular for its beautiful interior. From 2500 seats to 1000 seats, the theater still hosts various performance acts like ballet, theatrical plays, musicals, operas, pantomime, family shows, and educational talks. A self-guided tour is also available for those who want to know the history of the theater. In 2020, the theater is expected to undergo a large restoration project. This small museum holds a large history of North Ireland’s involvement in World War II. Here, you’ll get information regarding the Belfast Blitz, the Ulster Home Guard, the presence of the American forces in the era, and the role of women in the war. Visitors can also listen to recordings done by notable people during the war. Located near St. Anne’s Cathedral, the museum is free admission but donations are highly appreciated since it is only managed by local volunteers. You might also want to add shopping in Victoria Square Shopping Center in your top things to do in Belfast. This 4-story shopping center has a number of shops, spas, salons, and restaurants you can enjoy. You can also get a good panoramic view of the city from the mall’s central glass dome. 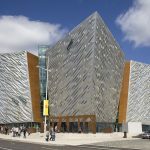 The Titanic Belfast Museum is one of the top places to see in Belfast. This huge museum offers self-guided tours for visitors who want to walk through the history of the RMS Titanic. The tour starts with a piece of information on the history of Belfast in the 20th century followed by the shipbuilding industry in Belfast which includes the building of RMS Titanic by a local shipbuilding firm, Harland and Wolff. Series of galleries then shows the launching of the Titanic, its voyage and the great tragedy. Artifacts and replica interiors of the Titanic are also inside the museum. To enhance the experience, there are also interactive activities. The tour ends with photographs and video footages of the sunken Titanic. This 500-meter walkway in Victoria Wharf was built to make the popular attractions in the Titanic Quarter accessible to visitors. Along the path, you can easily spot the Belfast Titanic museum, Titanic and Olympic Slipways, Thompson Dock, Mew Light, the HMS Caroline, Titanic Exhibition Center, Titanic Studios, and the Samson and Goliath cranes. The walk starts outside the Belfast Titanic Museum and heads towards the Olympic Slipways. The HMS Caroline is located northeast from this spot. Wondering what to do in Belfast at night? Well, evening entertainment in this city is not to miss. There is always something to do in Belfast at night whether its a play, an art exhibit, a local band, or a stand-up comedy act. Details of these events are usually available in the Visitor Center, the local newspaper, or social media accounts. For concerts, plays, or comedy shows, the Ulster Hall, Waterfront Hall, and Grand Opera House are the best places to check. Local pubs are the best places to check out live bands and local artists in Belfast. Gin, whiskey, and beer– these drinks are three of the most popular drinks in Belfast. If you’re interested to try craft beers, Hilden, Sheelin, Farmageddon, Hercules Brewing, and Whitewater are some of the best brewery names to remember. For North Irish gins, Copeland, Jawbox, and Shortcross. Bushmills, one of the best whiskey brands, is also worth a try. Sampling Irish local foods will always complete a trip. If it’s your first time to visit Ireland, you should never miss their popular foods like the Ulster fry, Irish stew, bangers and mash, fish and chips, and Sunday roasts. Irish also love their potatoes so you’ll easily find a lot of dishes made with potatoes. If you want to try locally grown produce, markets like St. George’s Market are the best places to find these treats for a low price. Awaken the inner Narnia fan in you by visiting CS Lewis Square in East Belfast— just 20 minutes away from the city center. 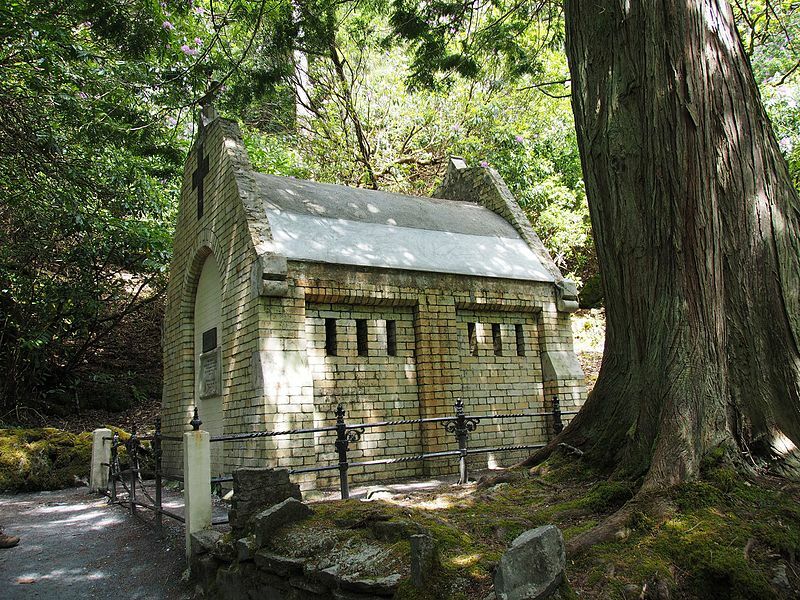 This tourist destination is dedicated to the popular author of The Chronicles of Narnia. A walk in the square will bring you to this fictional kingdom with the large bronze sculptures of Azlan, The White Witch, The Beaver, and some other characters of this film. 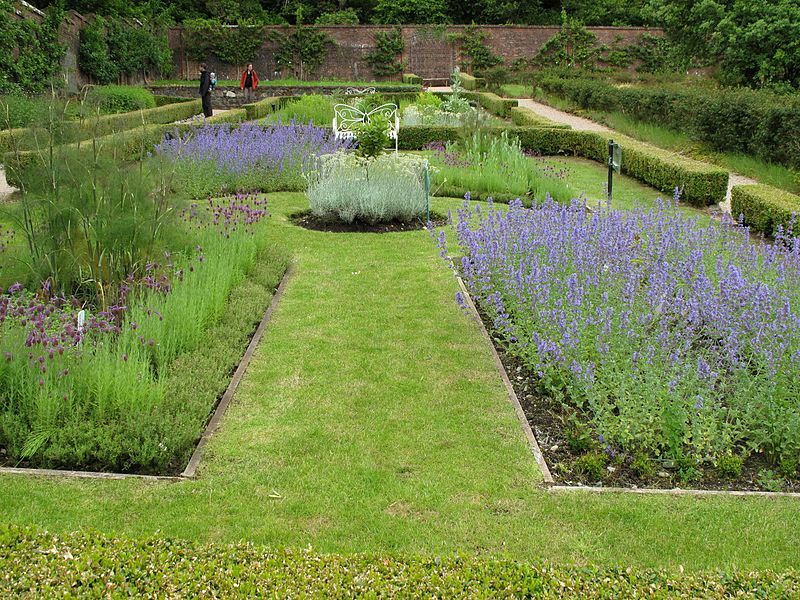 Once a private park in 1828, the Botanic Garden is now a public park located in the South of Belfast. If you’re visiting the Queen’s University, you can easily do a side trip here or perhaps take a break from traveling. The two highlights of the garden are the Palm House conservatory and the Tropical Ravine House. The Palm House is a curvilinear Victorian glasshouse filled with a variety of tropical plants. The Tropical Ravine, on the other hand, features a sunken ravine and a number of oldest seed plants, bananas, cinnamon, and orchids. The Botanic Garden is not only perfect for walking and sightseeing but a lot of concerts, plays, and performances are also happening here once in a while. The Queen’s University is just a few walks away from the Botanic Garden. This university was established to encourage Catholic and Presbyterian students to get a university education. Aside from this wholesome mission, the university is also visited a lot because of its architecture. Beautiful buildings like the Lanyon building are inside the university’s premises. Coffee shops, independent retail stores, entertainment venues, and the Ulster Museum are also located inside. Spending an afternoon in Belfast Zoo is one of the things to do in Belfast with kids. This 55 acres of land is home to over 1000 animals from over 100 species. The zoo was opened in 1934 and it has been one of the most income generating tourist attraction in Belfast despite the fact that is is located in the outskirts of Belfast. There are daily zookeeper talks, feeding times, and various activities to do in the Zoo. There’s also a playground for children called “Adventure’s learning center”. The zoo has a cafe for visitors who want to grab hot food while on tour. Cave Hill Country Park is popular for its caves, rock formations, ring fort remains, and hiking trails. The Belfast zoo and Belfast Castle are also located within its vicinity. The hiking trails start from easy to strenuous. Depending on what you can do, you can choose from any of these trails which will surely take you to the popular spots in the park like the Belfast Castle, Belfast Zoo, Napoleon’s nose, McArt’s fort, Devil’s Punchbowl, Volunteer’s Well stream, and other caves. Built-in Scottish baronial style, the Belfast Castle is perfect for a quick stop before hiking in Cave Hill or visiting the Belfast Zoo. Visitors can only tour a portion of the castle though because most of the space is used for events like weddings and conferences. There are also offices and dining venues here. The tour shows different exhibits of the history of Belfast Castle. Cafe and restaurant are also available. 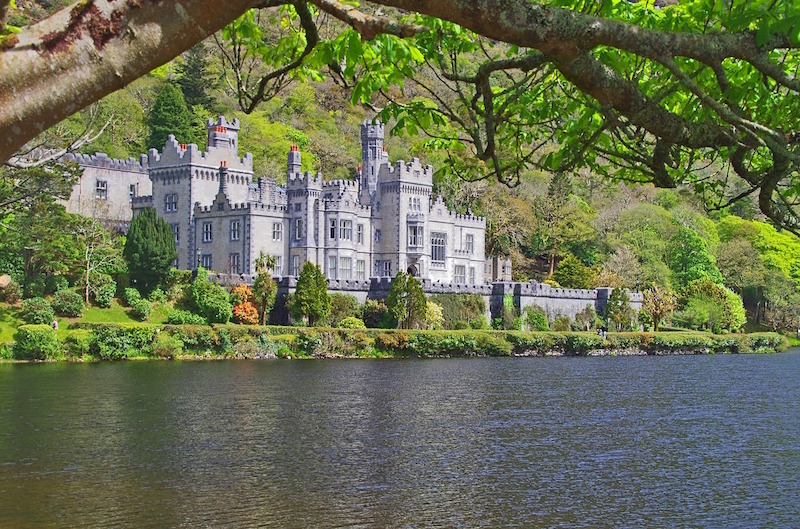 Related Read: 15 Must-See Castles in Ireland. The Ulster Folk Museum is located 7 miles east of Belfast specifically in the town of Cultra. From farmhouses, schools, cottages, shops, churches, and mills, this museum has over 20 buildings which resemble a traditional Irish village. Some of these are actual dwellings since the early 1900s while some of these structures are only replicas. 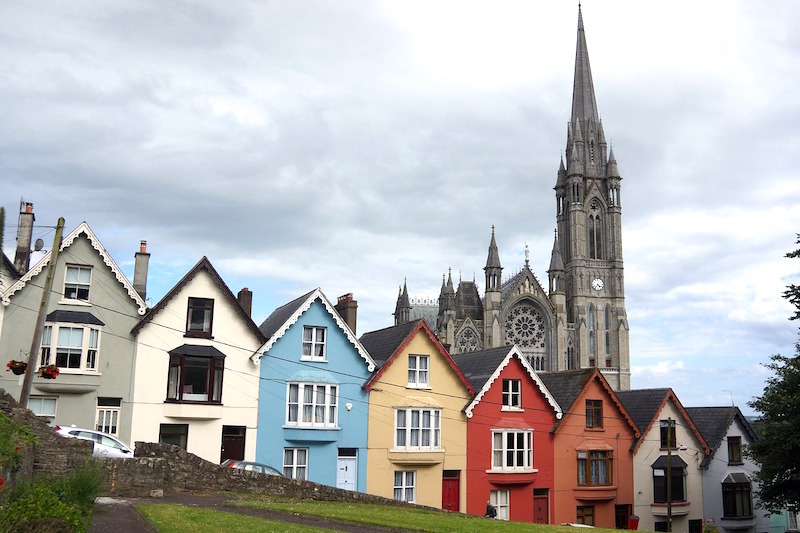 Each of these buildings tells the story of the Irish people which makes the place more interesting. Aside from sightseeing, visitors can also do activities like needlework, craft demonstrations, weaving, and open heat cooking. The museum can be reached by bus for 30 to 40 minutes. An on-site cafe serves drinks and snacks for guests. Sitting adjacent to the Ulster Folk Museum, the Transport Museum is another sight to see in Belfast. The museum is focused on telling the history of transportation in Belfast from the oldest period to the modern era. The museum also contains the largest railway collection in Ireland where you can see a large number of memorabilia like steam locomotives and passenger carriages. Pogo sticks, a DeLorean DMC-12 car, a vertical take-off plane, and the Titanic are also included in the exhibits. The exhibits in the museum of Orange Heritage is one of the most interesting things to see in Belfast. Located in the Castlereagh area in Belfast, it holds information about the controversial Protestant fraternal organization known as the Orange Order. This is the perfect place to visit in Ireland if you’re interested to know more about this organization. However, be warned ahead that this museum is going to be a pro-Loyalist bias. What was once protection from the varying religious beliefs in Ireland has now become one of the most interesting spots in the country. This long stretch of peace walls in Belfast was built in 1969 during the constant riots in the city. These walls are later on decorated with political murals where tourists nowadays would find an “Instagram-worthy” spot. You can also write your own messages in these walls or spot the handwriting of the famous icons like Dalai Lama who have signed these Peace Walls. Most black cab tours include this in their list of activities to do in Belfast. Owned by Sir Thomas and Lady Dixon, this house and park in South Belfast is currently maintained by the Belfast City Council. Although this 128 acres park has a lot of sights to see, the main highlight here is the formal rose garden which usually attracts thousands of tourists yearly. The Japanese garden is also a good spot here along with the walled garden and the woodland. Every year, the park hosts a week-long event called the Rose Week where there are flower shows, concerts, puppet shows, food stalls, and other exciting activities. The Eileen Hickey Irish Republican History Museum is a small museum in West Belfast where you can learn more information about the history of the Republicans in Ireland since the 1960s. This museum can be a good opposition to the Museum of Orange Heritage. The museum exhibits artifacts which support the history of the Republicans most especially during the Troubles. It was named after Eileen Hickey, a woman who was imprisoned in Armagh in the 1970s and the one who collected most of the artifacts in the museum. The museum is located in Conway Mill Complex, a few blocks away from the Peace Wall. Taking the Crumlin Road Gaol paranormal tour is one of the best things to do in Belfast at night. The Crumlin Road Gaol is the only surviving Victorian-era prison in Ireland. 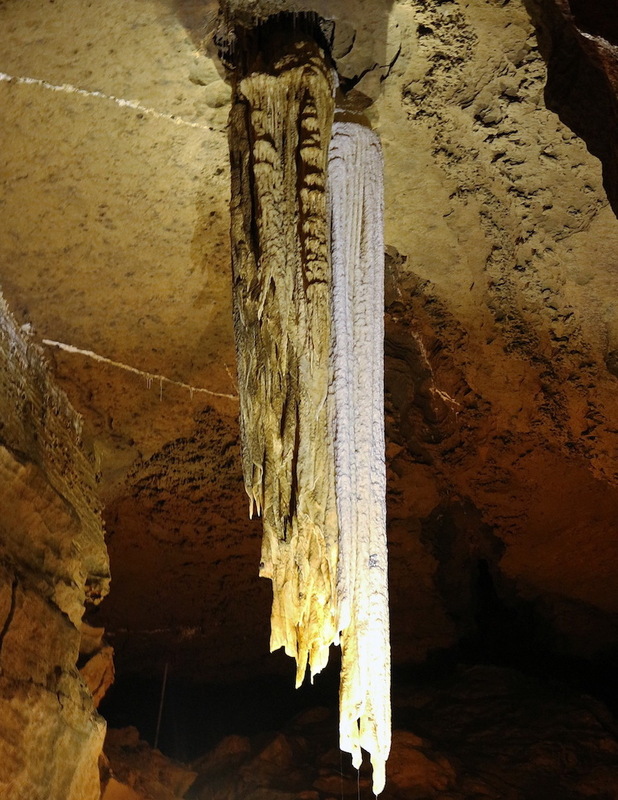 It came with a long history before it became a tourist attraction in 2012. This prison which was designed to hold 500 prisoners is now hosting scheduled tours for visitors who want to know the history and significance of the place. Guides are also mandatory for these tours as they take you to the major parts of the prison such as a visit to the cell blocks, a walk through the tunnel which connects the prison to the courthouse and the execution chamber. The tour lasts for 70 to 90 minutes which is enough to gather information about the history of the prison, the architecture and stories of some notable prisoners. If you’re planning to visit the Gaol, be sure to book the tickets in advance as there are days when tickets are easily sold out. Can’t get enough of Titanic’s historical events? Get to know a bit more of this famous ocean liner in the Titanic Dock and Pump House where it sat in dry dock before going on a voyage in April 1912. Walking through the Titanic Dock will give you a better sense of how massive the Titanic was. You can also find placards which contain information about the Titanic’s construction and fitting out. It also includes the lives of the dock workers and how the pump house works. If you’re planning to visit, tickets to the Titanic Dock and Pump House are sold at Cafe 1404. Visitors can do a self-guided tour or a guided tour. The dock is located 10 minutes away from the Titanic Museum and a minute away from HMS Caroline. Named after the Biblical figures, the Samson and Goliath cranes are dominant features in the Belfast skyline. It is located close to the Titanic Museum even though it doesn’t have any significant contribution to the creation of this famous ship. Visitors can’t get too close to the cranes though since it is still located in an active industrial area but these are easy to spot from afar. The Waterfront Area is located in River Lagan where you can find sculptures, bridges, the Waterfront Hall, the old Customs House, and the Barge Museum. Apart from these, the Salmon of Knowledge and the Beacon of Hope are also favorite spots here. The Salmon of Knowledge is a big sculpture of a salmon along the waterfront where River Farset and River Lagan, Belfast’s major rivers, meet. You can also find the Salmon of Knowledge in Irish mythology. On the other hand, the Beacon of Hope is a large stainless steel and bronze sculpture of a lady which can be found sitting within the Thanksgiving Square. The lady holds a ring which is said to symbolize Thanksgiving. The globe at her feet symbolizes peace and harmony. The Crown Liquor Saloon is Belfast’s most popular pub as it belongs to the world’s list of most beautiful Victorian-era gin palaces. The pub opened in 1826 known as The Railway Tavern but it was renovated and renamed in 1885 into Crown Liquor Saloon. Amidst countless renovations, the pub still retains some of its original decorations and fixtures which includes the mosaic tiles, gas lamp features, stained glass, granite bar top, heated footrests behind bars, snugs, and carved wooden ceilings. Crown Liquor Saloon has been receiving a lot of attention from tourists and popular celebrities. The bar is the perfect place for dining lunch or dinner. However, if you wish to dine here, you might want to book in advance due to the popularity of the pub. Stop by the Albert Memorial Clock if you don’t have the stuff to do in Belfast during your free time. This sandstone clock tower was built as a memorial to Prince Albert, Queen Victoria’s husband, and is located at the Queen’s Square in the heart of Belfast. The Albert Memorial Clock stands as one of the most popular landmarks in Belfast since its completion in 1869. In fact, it is also known as the “leaning tower of Pisa” in Belfast. If you have an eye for arts, science, and history, the Ulster Museum is the perfect place for you. It is located near the entrance of the Botanic Garden and contains over a million objects from dinosaur bones to jewels. The museum has permanent exhibits all year long but there are also interesting seasonal exhibits to look forward. The museum is free admission but donations are highly appreciated. The Metropolitan Arts Center is hosts three major art galleries in Belfast since 2012. The main theme of these galleries is contemporary art and experimental performances. While there are free exhibits in this art center, there are also paid exhibits that are worth checking on. Aside from these exhibits, there are also workshops and art classes conducted in MAC. If you’re going to Belfast for the first time, you might want to check the Belfast Black Cab Tours. The history of these black cabs draws us back during the Troubles and it is pretty interesting. The focus of these Black Cab tours are usually on Belfast’s political history but you can also request for general history and culture tours. Sitting in Donegall Square, the Belfast City Hall is a great centerpiece in Belfast as well as a functioning government building. Inside the city hall, visitors can walk through an enormous exhibit which tells about Belfast’s history, government, people, famous events, and industries. The city hall also has grand rooms where visitors can visit through the free guided tours. Different statues and building also surround the city hall which is worth checking out. This includes the 11-foot statue of Queen Victoria. If you’re wondering what to do in Belfast, the Belfast City Hall is worth a trip. The HMS Caroline served a lot in Belfast’s history. Today, there is a self-guided tour where interested visitors can learn about the construction, history, and the living and working conditions of HMS Caroline through different exhibits. The tour starts in the Dockside Museum. HMS Caroline can be found in the dock next to the Titanic Pump House. It is also 15 minutes away from the Titanic Belfast museum. Ireland in June is a good idea. With less rain and wind, you will be rewarded with better weather but with less crowd than July or August which are both the summer peak months. 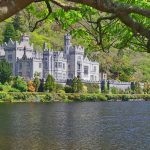 So if you are planning to visit Ireland in June, here’s our travel guide for enjoying Ireland in summer. Is June a good time to go to Ireland? 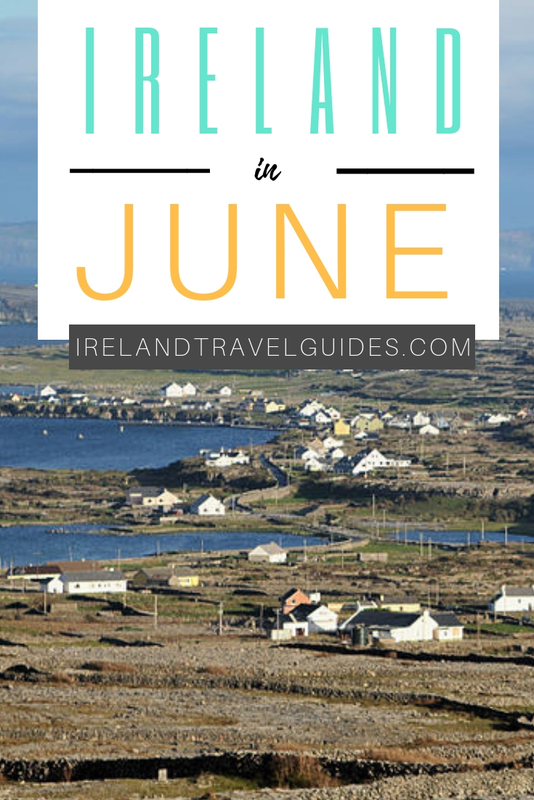 June is one of the best months to travel to Ireland. Because it’s the start of the summer season, the weather is better and more attractions are open. June is also considered the driest month in the south of the country. 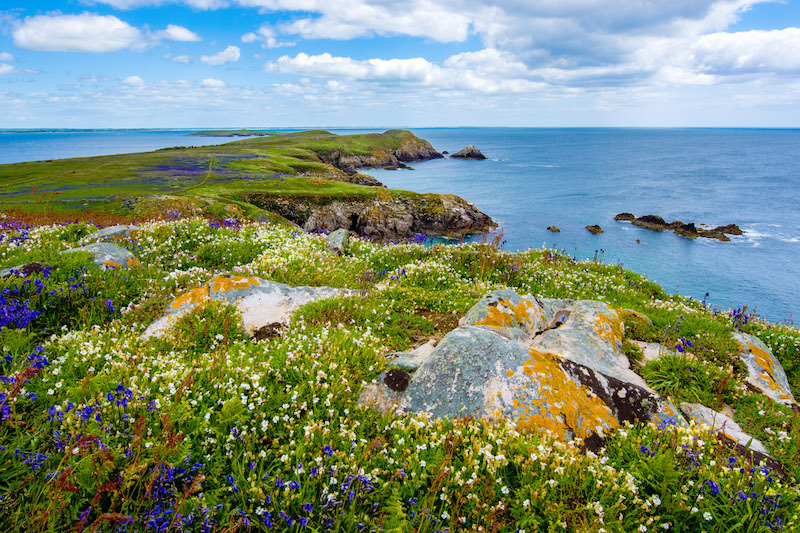 So if you are looking to do more outdoorsy stuff, June is one of the best months to visit Ireland. What is the weather in Ireland in June? What is the average temperature in Ireland in June? 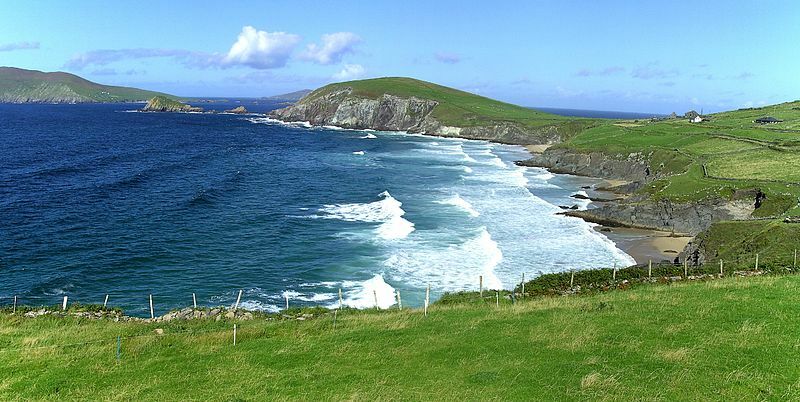 The climate of Ireland is influenced mainly by the Atlantic Ocean. As a result, Ireland doesn’t experience the same extreme temperatures that other countries have from the same latitudes. As the summer begins, Ireland in June will have an average of 14°C(56°F) to 17°C (63°F) temperature. The average precipitation in June is 8-21 days with up to 70 mm of rain depending on the city. So make sure to always prepare for rain just in case. The average hourly wind speed in June remains constant all throughout the month with an average of from .02 miles per hour to 11 miles per hour. Days are longer for Ireland in June. Sunrise will start at around 5 AM and set at around 9:30 PM. It gets longer towards the end of the month so that means extra hours for activities and sightseeing. What should you pack for Ireland in June? What to do in Ireland in June? 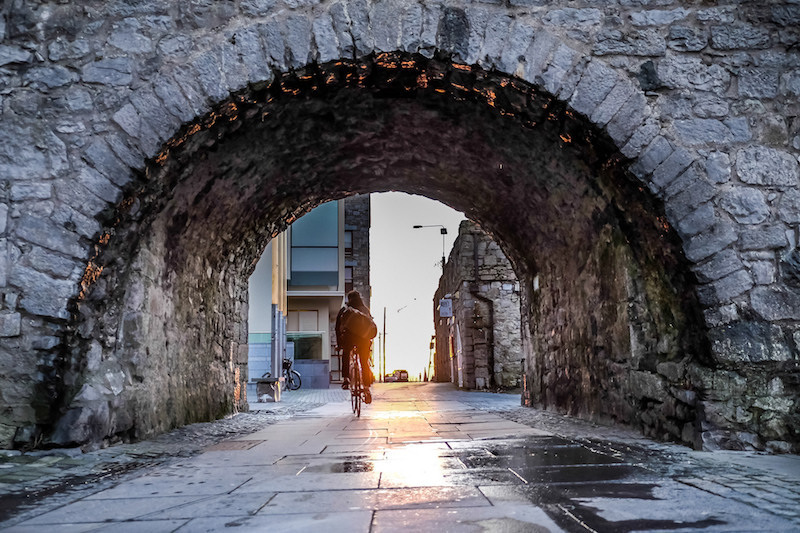 Because of better weather and longer days, you will be able to do more stuff when you visit Ireland in June. Brú na Bóinne or Palace of the Boyne is valley tombs located near River Boyne, 8 km west of Drogheda. It contains one of the most important pre-historic landscapes in the world dating back from the Neolithic period. 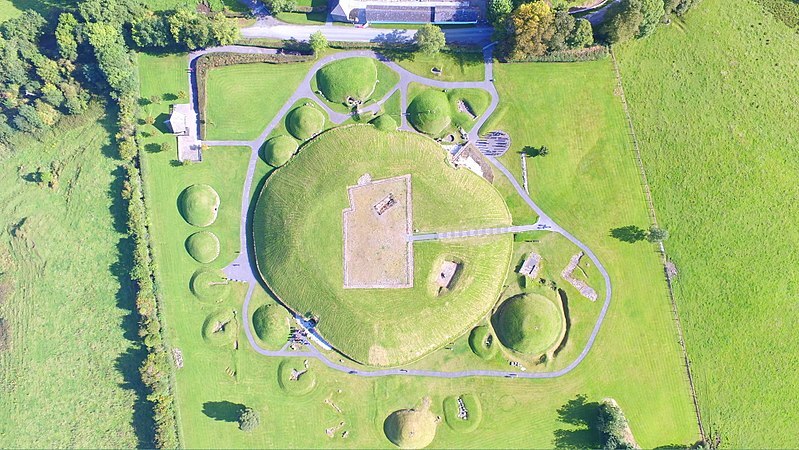 Brú na Bóinne is famous for its Megalithic passage tombs called Knowth, Newgrange, and Dowth. 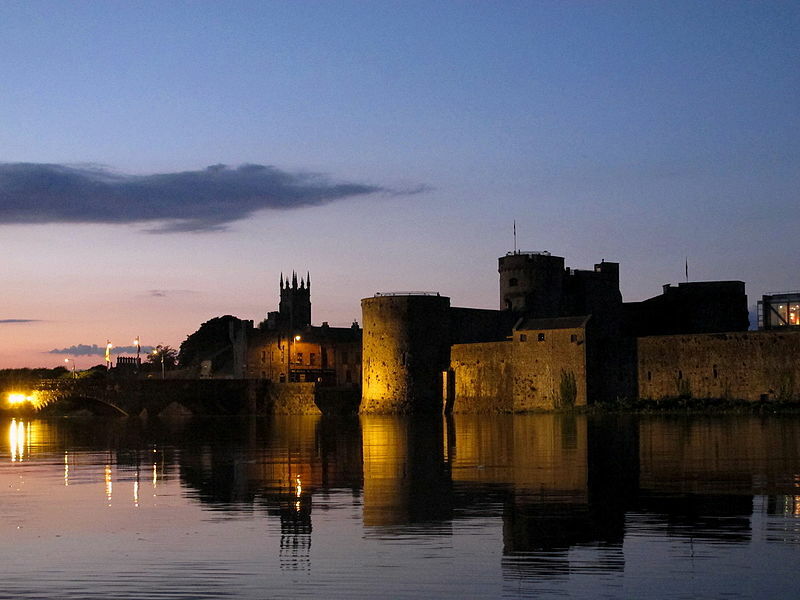 If you are in the area, this is one of the best places to visit in Drogheda, Ireland. Lahinch Beach is a sandy, crescent-shaped Blue Flag beach in the town of Lahinch in County Clare. 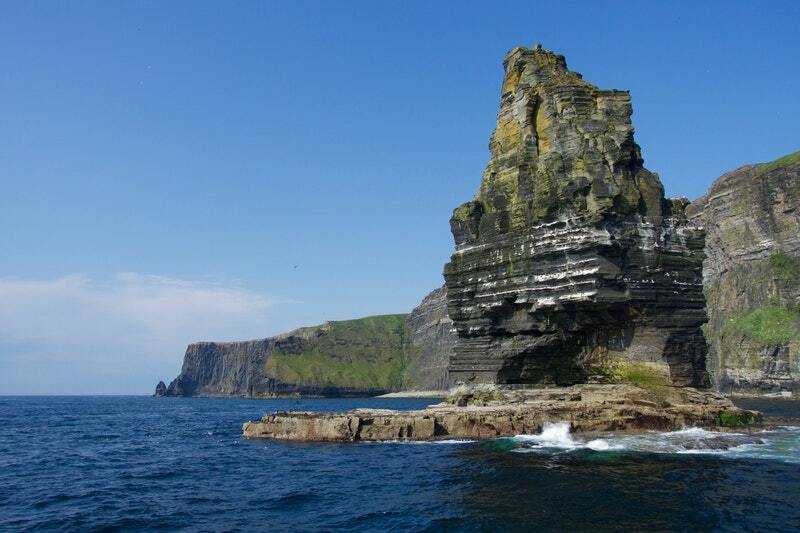 It is located in Liscannor Bay and faces the Atlantic Ocean which gives the beach its famous swells. 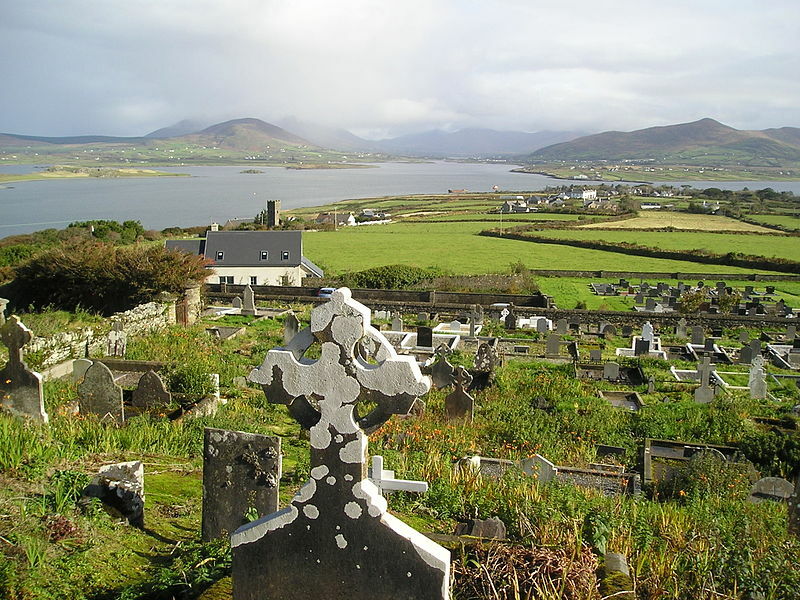 Dingle in Ireland is a small port town in Dingle Peninsula, about 4 hours away from Dublin. 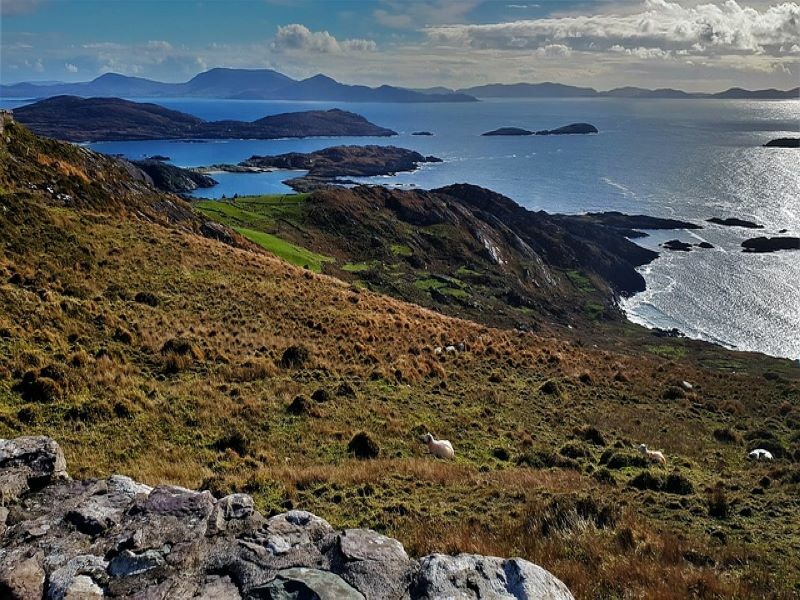 It is one of the scenic stops in Ring of Kerry along with Kenmare and Killarney. 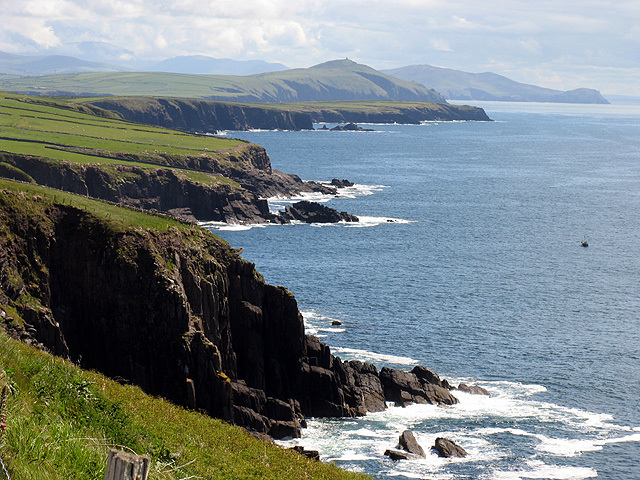 Dingle is known for its rugged scenery, trails, and sandy beaches so it’s one of the best places to do a road trip in Ireland. 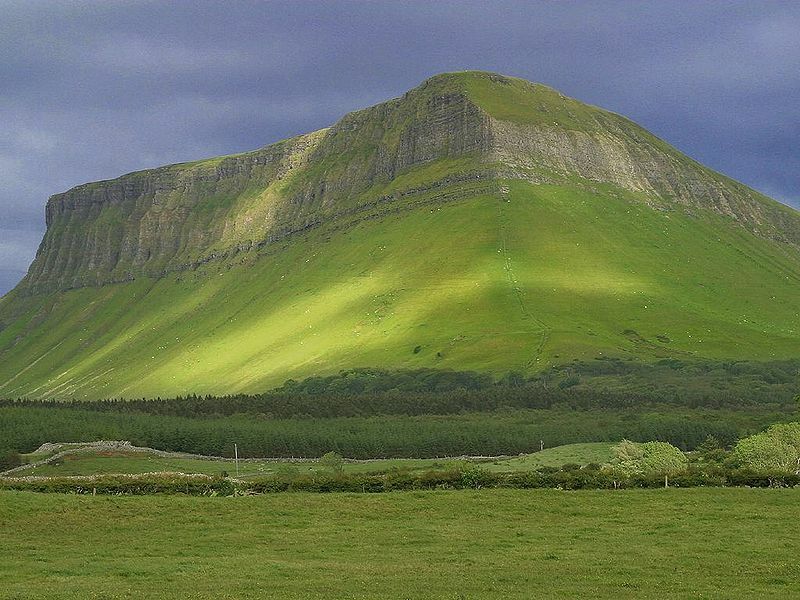 Benbulben is the Table Mountain of Ireland. This large rock formation was formed by moving glaciers during Ice Age. The mountain is part of Dartry Mountains in an area known as Yeats Country – a name after the famous writer and poet W.B. Yeats. The Benbulben offers the best view of the Sligo town and it’s an easy trail to hike. 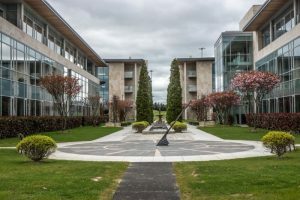 It is only 15-20 minutes away from the town center and although a popular attraction in Sligo town, it is not touristy. Along the trail are rolling hills and beautiful landscapes of forest, bogs, and plants. 1. As it can be windy, make sure to be careful when visiting the cliffs and the islands. The cliffs can be dangerous during the windy season so always walk with caution around the area especially if there’s no barrier on the edge. 2. Although June is the driest month in some areas in Ireland, make sure to prepare for rain as the weather in Ireland can be fickle. Here’s our complete guide for packing list on Ireland for all season to help you plan your next trip to Ireland. 3. Always layer up. It might be warm one moment but it can get really cold especially at night. Ireland in December can be daunting but it can be as fun as the summer season. As long as you know where to go, what to pack and what to do, your dream vacation in Ireland on winter season can be amazing as any season. Is December a good time to visit Ireland? So should you travel to Ireland in December? I’d say yes. There will be less crowd and it will be cheaper. 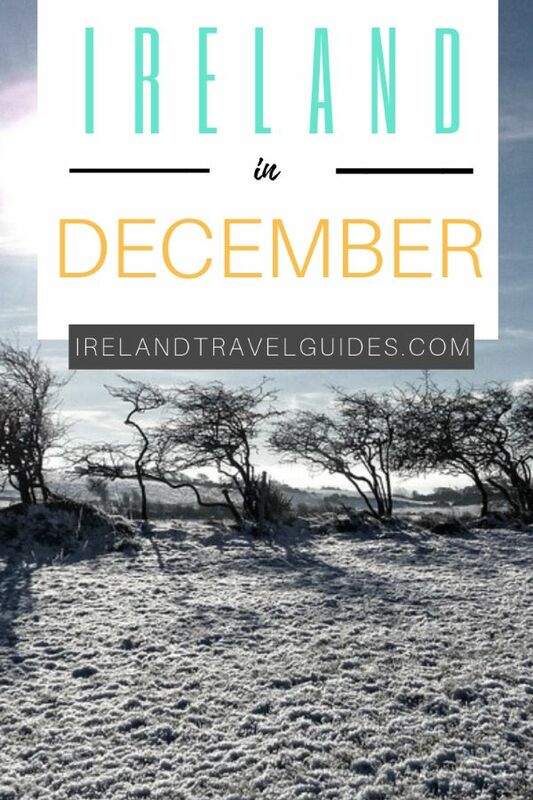 So, if you don’t know where to start yet, this Ireland travel guide for December should be able to help you. What is the weather in Ireland in December? What is the average temperature in Ireland in December? As the winter begins, Ireland in December will have an average of 5°C(41°F) to 7°C (46°F) temperature. The average precipitation in December is 23 days with around 80 mm of rain. So make sure to always prepare for rain just in case. December and January are the wettest months as the winter slowly set in the country. The average hourly wind speed in Ireland increases during the month of December, from 15.8 miles per hour to 17.1 miles per hour over the course of the month. Days are shorter for Ireland in December. Sunrise will start at around 8 AM and set at around 4 PM. It gets shorter towards the end of the month so plan your activities accordingly. 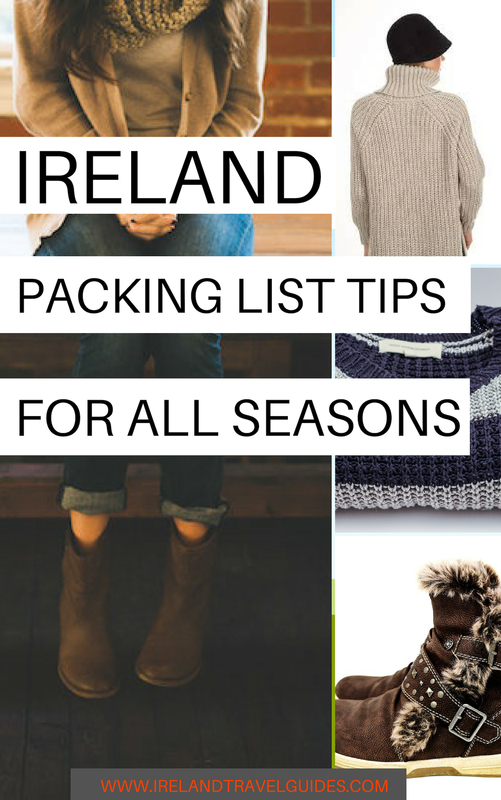 What should you pack for Ireland in December? Fleece inner wear- this will serve as your base clothing for layering. If you don’t have a fleece innerwear, a hoodie will do the trick. Winter coat – Do not forget your winter coat in your “winter” packing list, okay? This Denim shorts is a great addition to your list. What to do in Ireland in December? Although it’s colder and the days are shorter, there are still many things to do in Ireland in December. Some attractions might close earlier though so always make sure to check the opening hours and plan accordingly. If the weather is too cold to stay outdoor, Dublin has lots of interesting museums that you can go to. The capital is full of art galleries and museums which are more than enough to quench an art and history lover’s thirst for exploration. 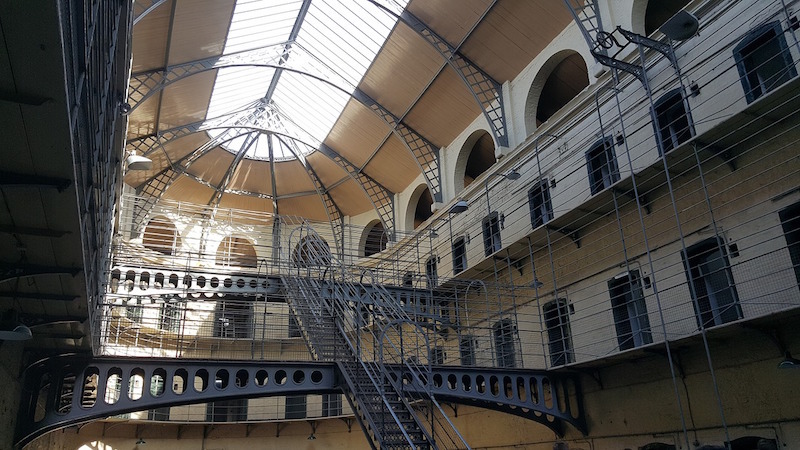 You can check out Kilmainham Gaol, National Museum of Ireland of Archaeology, EPIC the Irish Emigration Museum, Little Museum of Dublin and the Irish Potato Famine Exhibition. All these museums have an interesting story that will help you learn more about Irish culture and history. To learn more, check out our best museums in Dublin guide. 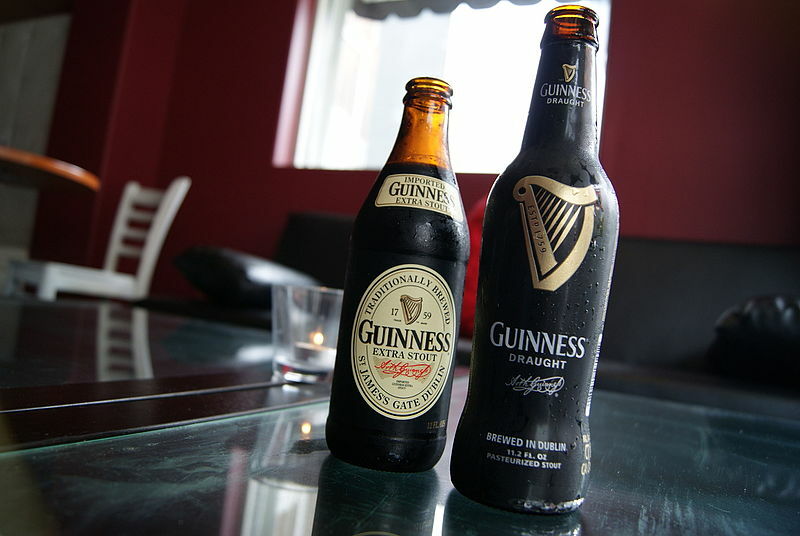 If you have an eye for the perfect pint, the Guinness Storehouse is an experience of a lifetime. This seven-story building stands proudly as the home of the most famous beer in the whole world. Today, tourists can now learn its history and enjoy one of the best Irish drinks. Every floor holds exciting surprises for everyone and it’s a good company in cold December in Ireland. 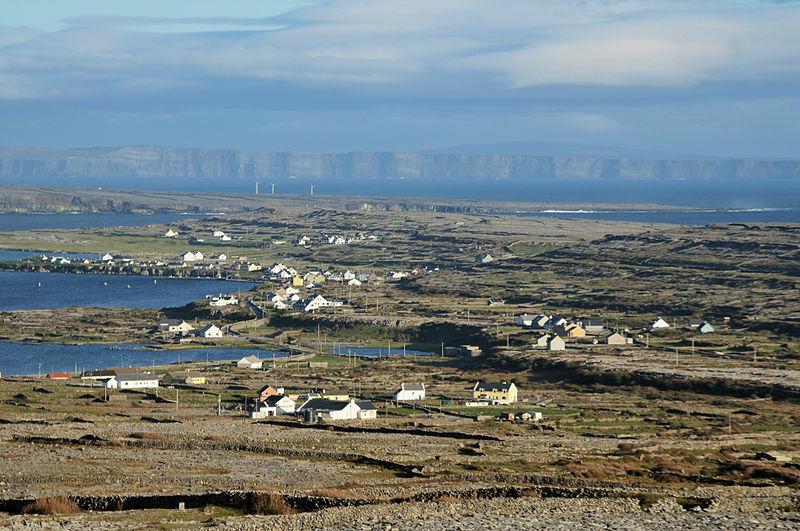 Doolin is known as the base for Cliffs of Moher tours. But Cliffs of Moher is not the only thing you can do here. 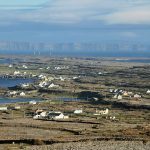 From quaint farms, caves to interesting landscapes, Doolin can be a good place to visit in Ireland in Winter. 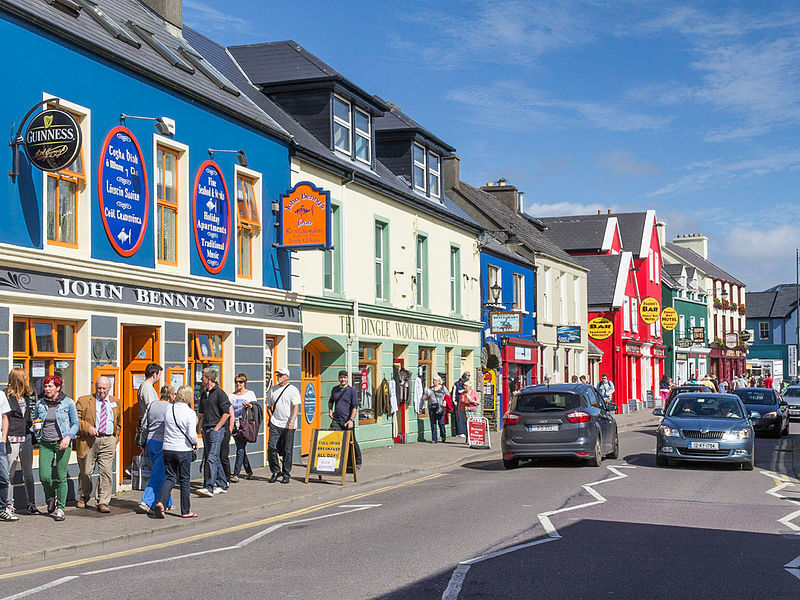 To learn more about Doolin, check our things to do in Doolin guide. The castle has a long history of rebellions and wars and it is said to be the last castle to surrender during the Irish Confederate Wars. And despite the cold weather in December, you can still enjoy this attraction in Ireland. 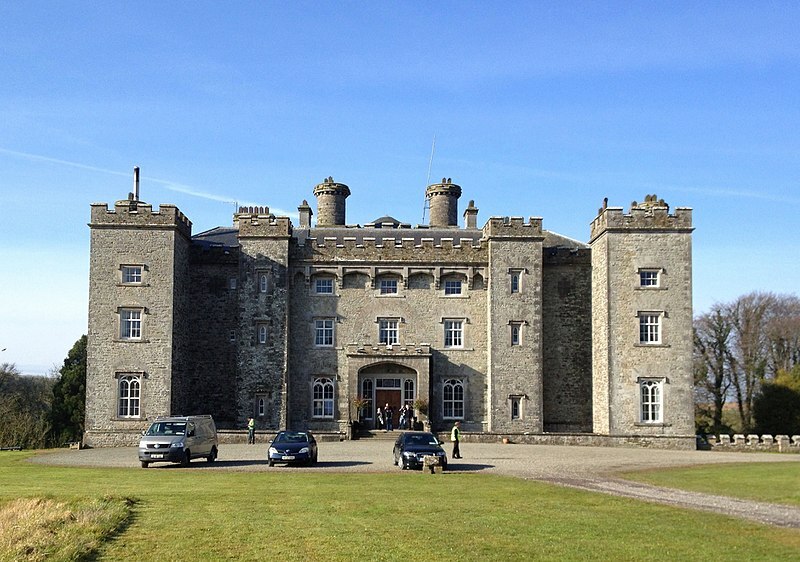 Slane Castle is located within the Boyne Valley and is set in the middle of a 1,500-acre estate and it’s only 11km from the charming town of Navan. The castle was built in 18th-century and has been a family seat for the Conyngham family. Today, the castle is a famous concert venue which held concerts for world music icons such as The Rolling Stones, U2, Madonna, Guns N’ Roses, Bob Dylan, Queens, Bruce Springsteen to name a few. 2. Also, always verify first from the ferry companies before booking any of your tours or trips if they are operating during the winter season to avoid getting stuck. 3. Always bring a raincoat with you. Ireland in December is the wettest month of the year. 4. Always double check the opening hours of the tourist attractions as they normally close earlier from November to February. 5. As the winter slowly sets in, make sure to pack accordingly. 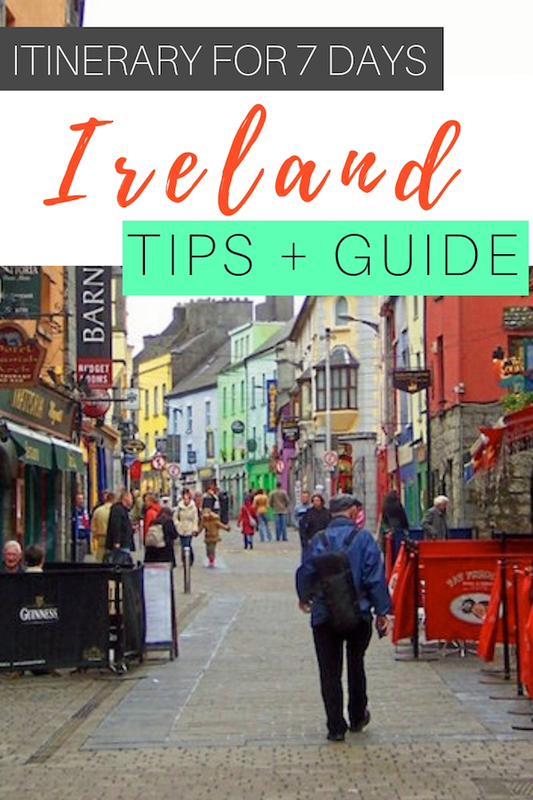 Here’s our complete guide for packing list on Ireland for all season to help you plan your next trip to Ireland. 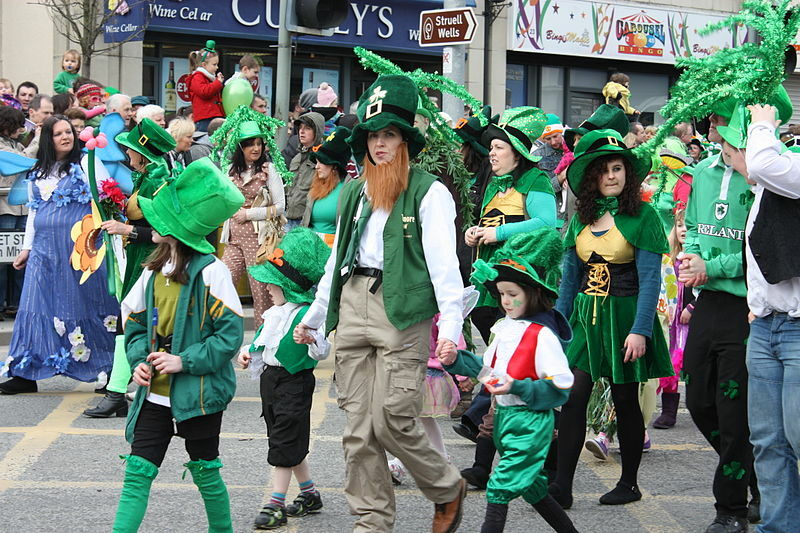 The capital of Ireland is also one of the highly-packed tourist destinations in the country. 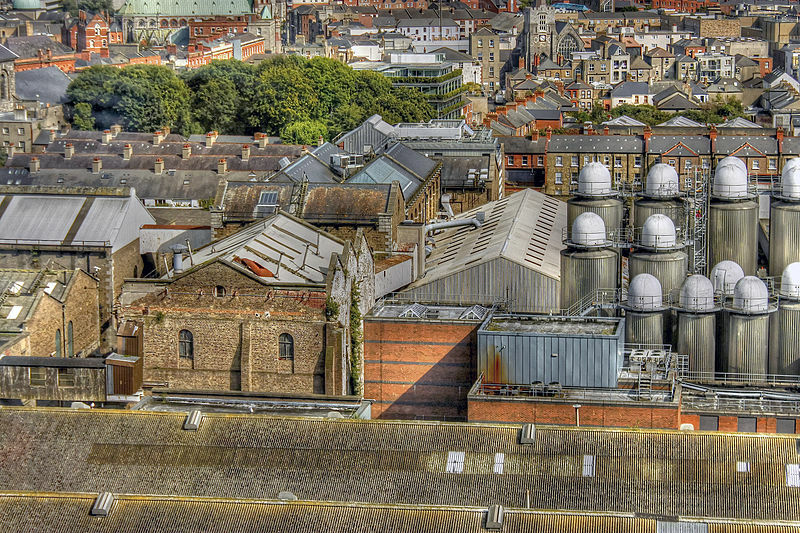 It is home of the popular Guinness Storehouse, The Trinity College, and Dublin Castle. 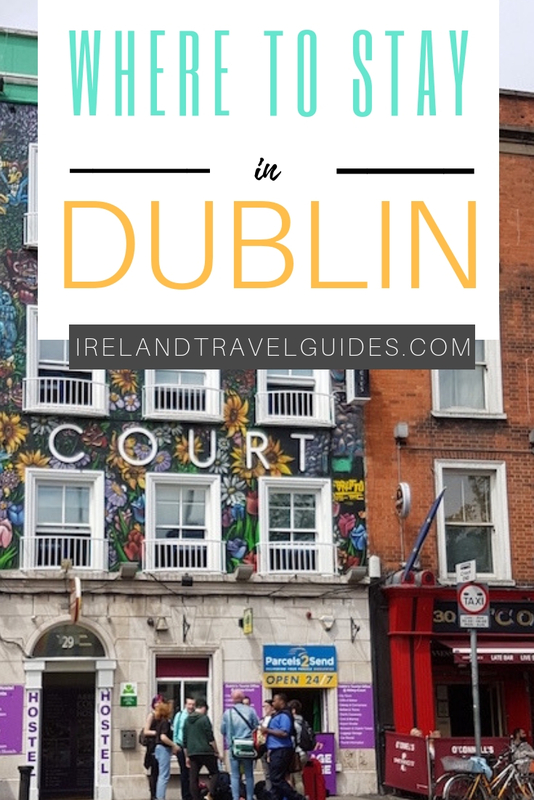 There sure are a lot of sightseeing activities to do in Dublin and most Ireland itinerary start from here. Whether you’re staying for a day or two, here are the 15 places where to stay in Dublin, Ireland. 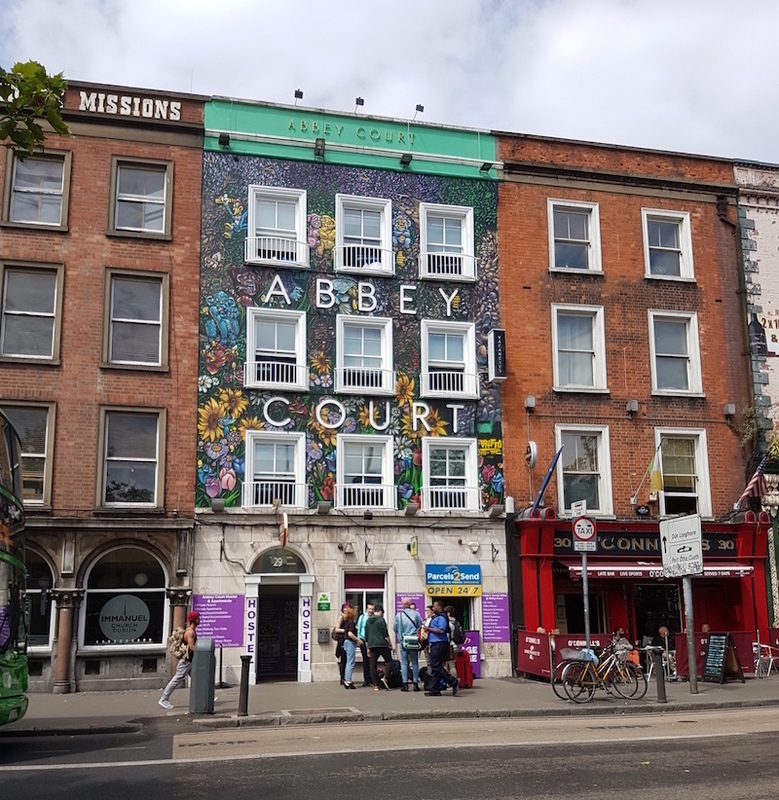 If you’re looking for a completely packaged hotel that will fit your budget, Abbey Court Hostel is a good choice. This budget hostel is perfect for every backpacker who wants to keep the bustling Dublin nightlife closer. Located just right off O’Connell Bridge, Abbey Court Hostel features modern rooms with all-you-can-eat breakfast. Its bunk beds come with a free locker each. 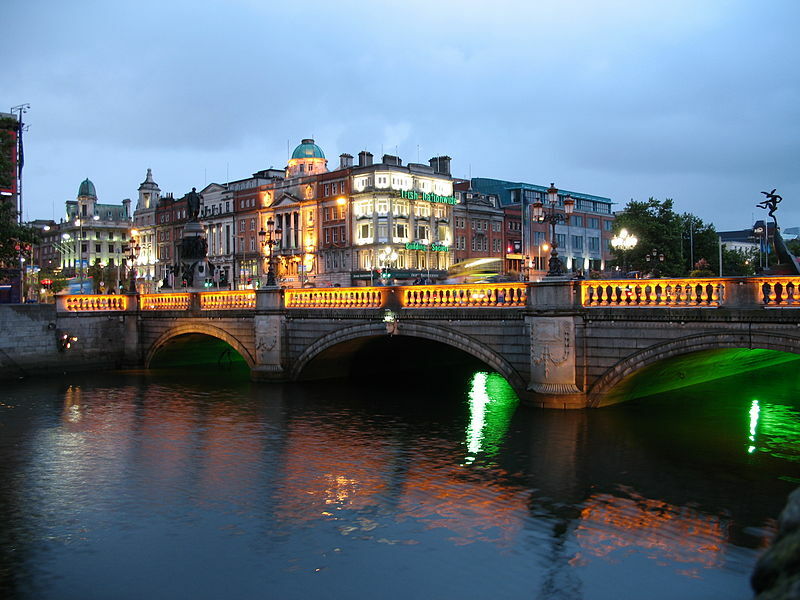 The hotel also offers a free guided walking tour for first-time visitors in Dublin. Dormitory room starts at $15 per night while double room starts at $100 per night. Isaacs Hotel remains to be one of the most preferred hotels in the heart of Dublin. It gives good value for your money with its cheap rooms paired with excellent services. Isaacs Hostel offers comfortable accommodation without being far from the city center. Guests here can enjoy shared room facilities and as well as a common kitchen and TV lounge. It is also the only hostel in Dublin that has a sauna. For only $24, backpackers can already enjoy a bunk bed in Isaac Hotel. Want a private room for your friend? You can get it for only $112 per night. A lot of backpackers prefer Kinlay House Dublin because of its location. 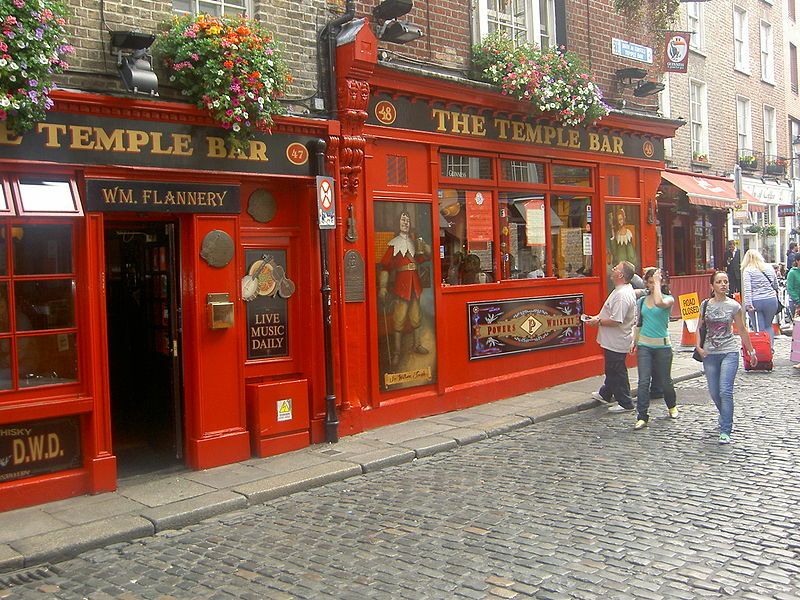 Situated in the famous Temple Bar district, you would want to enjoy these cheap offers too. Kinlay House Dublin offers private rooms and shared rooms at an affordable price. Guests can also enjoy a continental complimentary breakfast here. 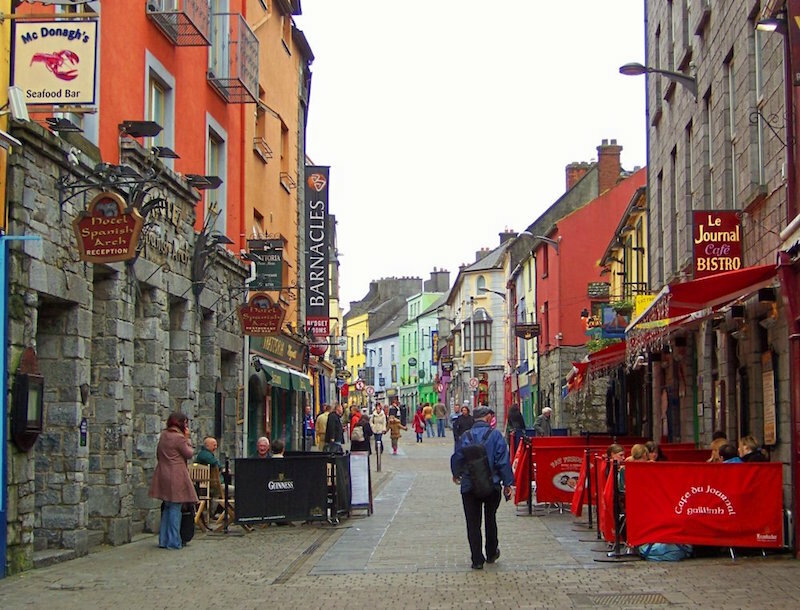 It is also located close to Dublin’s top attractions like Temple Bar, Dublin Castle, and Trinity College. Bus stops and stations are close-by too. Dormitory rooms start at $20 per night. If you’re looking for a place close to the popular Guinness Storehouse, Garden Lane Backpackers Hostel is perfect for you. This hostel in Garden Lane offers excellent services starting with its friendly and accommodating staff. The cleaning service is also exceptional. Dormitory rooms include a safe locker. Guests can also enjoy a continental breakfast. Rate starts at $28 per night. Ashfield Hostel is perfect for travelers who are looking for cheap accommodation that is close to all the good stuff in Dublin. Check out its private and dormitory-type rooms. This hostel has an excellent location— centrally located in Dublin. The rooms are also very affordable which is the reason why backpackers and budget travelers prefer it. The no curfew policy also makes it very appealing to younger guests. Rooms start at $21 to $98. The classic vibes of Handels Hotel will make you want to visit it. 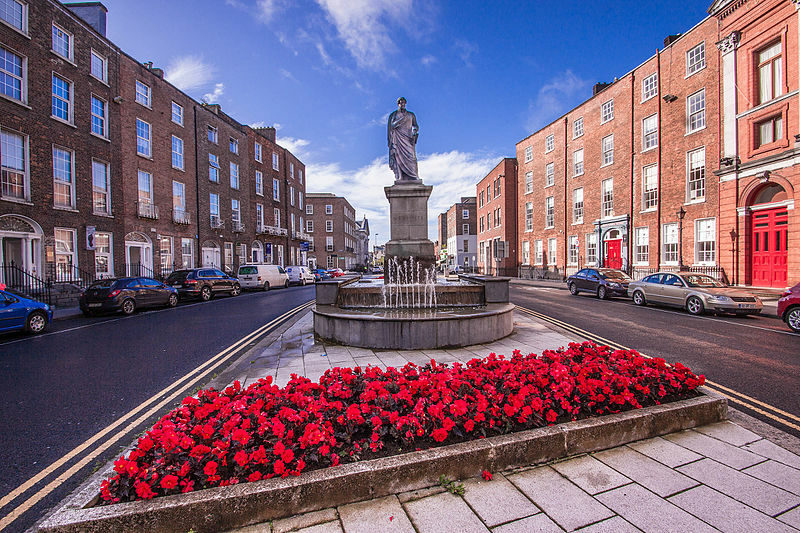 Situated in the Temple Bar area, this hotel is in a strategic location that every tourist will love. The hotel offers rooms from $175 to $209. If you fancy a luscious garden with a rustic grotto, Stauntons on the Green hotel can give you this view from your room. Check out this highly rated hotel in Dublin. 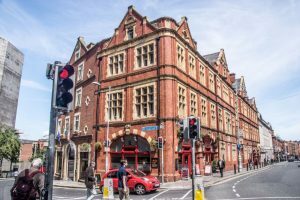 Drury Court Hotel is right in the heart of Dublin– close to the best dining, theaters, and shopping locations If you want to secure a comfortable stay in the heart of the city Drury Court Hotel is a perfect choice. Drury Court Hotel has non-smoking rooms with free access to wifi all over the place. The rooms are also spacious and have a warm aura which will ensure a peaceful and comfortable stay for the guests. The hotel is much closer to The Trinity College and a bit farther from the Guinness Storehouse. Rate starts at $172 for single rooms and $212 for triple rooms. If you’re looking for a mid-range hotel that will fit your budget, Travelodge Dublin City Rathmines is a good option. It is mostly preferred by couples and a small group of travelers. Travelodge Dublin City Rathmines is a bit far from most tourist attractions but it is still preferred by a lot of tourists because of its cleanliness, excellent services, and spacious rooms. Don’t worry even if the Temple Bar District is not right at your doorstep, the hotel is still a convenient location to access these city sightseeing tours. Rooms are priced $185 per night. Temple Bar Inn is also in the top list of mid-range hotels in Dublin that gives a good value for money. Its location is the primary factor why a lot of tourists prefer this hotel. Temple Bar Inn features modern rooms with flat-screen TV, a safe, and a fridge. Each room also includes a private bathroom with free toiletries. Restaurants are also 5 minutes away from the hotel while O’Connell Street and Trinity College are just 3 minutes away. Single room starts at $196 while the biggest room starts at $342. If you’re familiar with the coastal village called Malahide and you want to stay closer to it, Clayton Hotel Dublin Airport is a good choice. One of the most popular luxury hotels in Dublin, Clayton Hotel Dublin Airport boasts its soundproof rooms equipped with hypo-allergenic pillows and duck down feather duvets. From the room design down to the toiletries, everything here is luxurious. The hotel also has four separate dining areas. Looking for a hotel near the airport? The Croke Park Hotel is just 15-minutes away and has one of the best facilities you’re looking for in a luxury hotel. Go and check it out. Guests have enjoyed the 50-inch Smart TV and the mini entertainment system featured in every fancy room of this hotel. The hot towels on arrival and the European bistro are also popular in this 4-star luxury hotel. Standard Double room starts at $220 while the deluxe room starts at $268. This 5-star hotel is located near Dublin’s top attractions. Check out this hotel if you’re looking for a luxurious hotel with a great city view. The Westbury Hotel offers a wide variety of rooms. It has classic rooms, luxury studios, luxury suites, and a presidential suite— all of these rooms have excellent views. The entertainment system in each room is equipped with LCD TV and an iPod compatible sound system. Classic rooms start at $488 The biggest and luxurious room, The Presidential Suite, costs $3187 per night. For the latest rate, click rate. Maldron Hotel Pearse Street features bright colored rooms with private bathrooms. Each room also has free tea and coffee making facility and a TV. 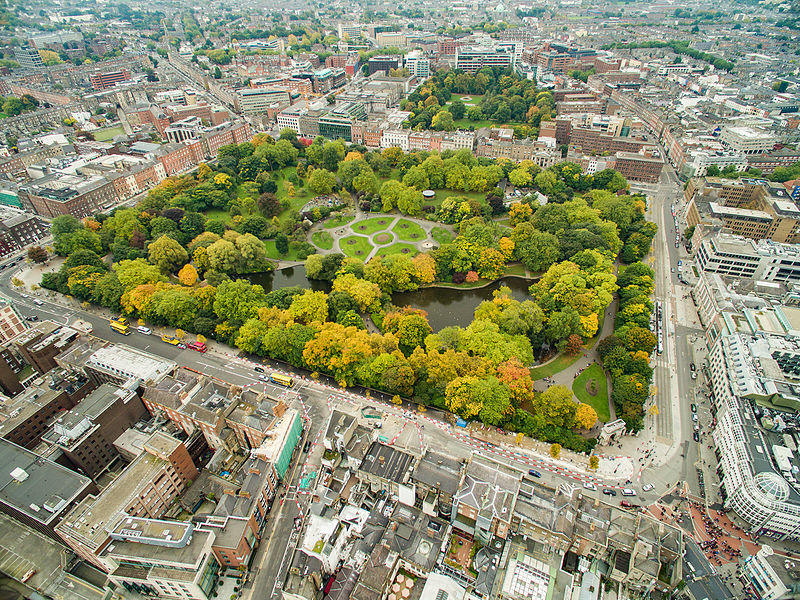 It close to Ireland’s National Gallery, St. Stephen’s Green, and O’Connell Street. Irish and international cuisines are also served in the hotel. Rooms start at $213 for a Double room while quadruple rooms are starting from $304. If you’re looking for a luxurious hotel in the outskirts of Dublin, Citywest Hotel is a good choice. Packed with comfort, elegance, and style, you’re already getting a good value for your money in this hotel. Citywest Hotel has spacious and modern rooms with private bathrooms, a health and leisure club, a golf course, and a selection of bars and restaurants. Guests can enjoy a hearty meal prepared by award-winning chefs from breakfast to dinner. Standard double room starts at $146. Ireland does not only boast with world-renowned drinks but they’re also doing well in the food department. Irish love their meals tasty and warm- the kind of meal that will make you experience fireworks in your tastebuds. If you’re excited to devour Irish dishes, you can start with these top 10 traditional Irish foods to try. 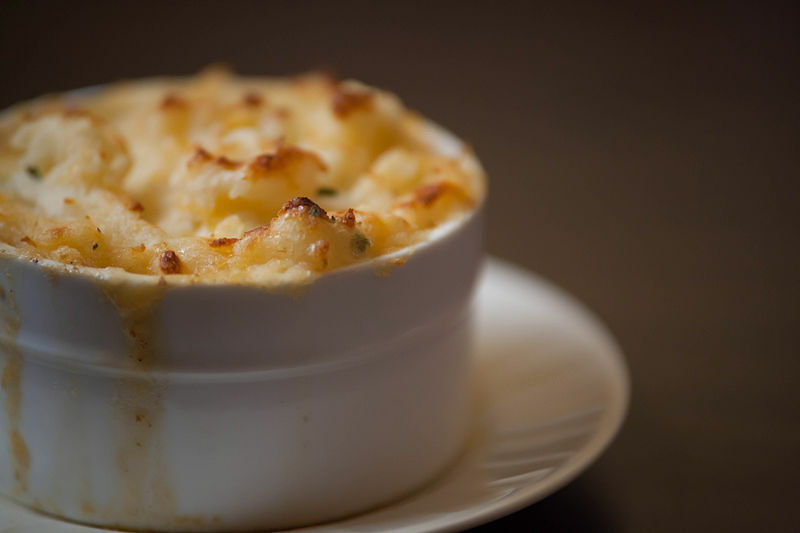 Popular in every Irish restaurant, this classic Irish dish deserves the top spot in this list. 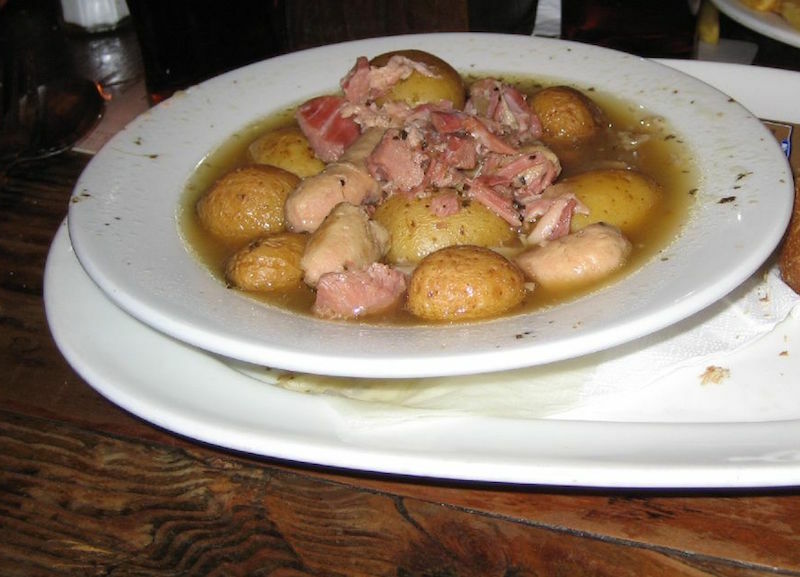 This traditional Irish dish is most preferred for its rich taste, nutritional value, and low-cost. 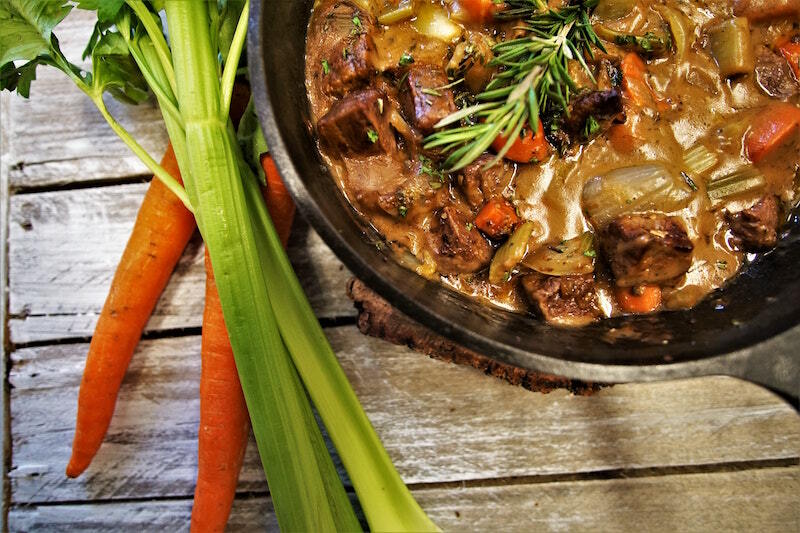 Typically, lamb serves as the main ingredient for this stew but beef also sounds like a good alternative. Heat the oven to 350 F/ 180 C.
Heat the half of the oil in a large frying pan then add the lamb cutlets until brown. Transfer the cutlets in a casserole. Add the potatoes, onions, leeks, and carrots in the casserole then pour the remaining oil. Create a lump-free sauce by adding the flour to a frying pan and stir well in a gentle heat for 3 minutes. 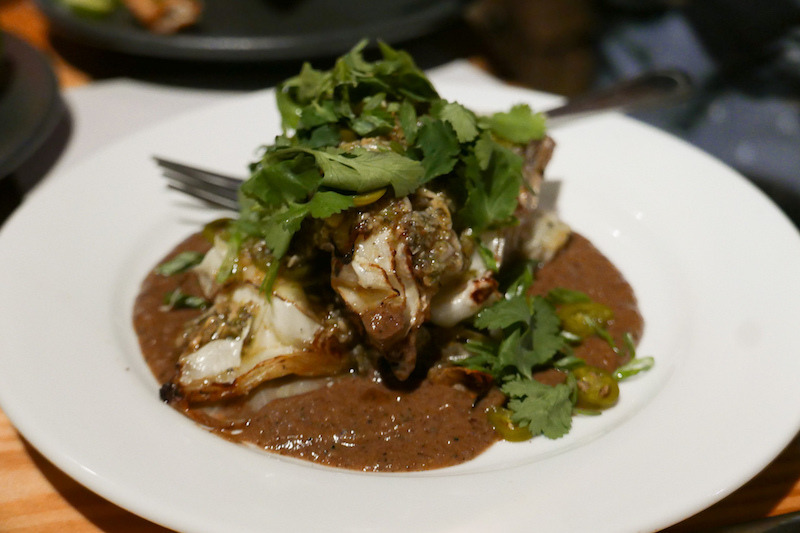 Pour sauce over the lamb and vegetable. Make sure the stock isn’t reducing too much. If so, add boiling water so that the meat and the vegetables are always covered by liquid. Season the salt and pepper. You can also call this as the ‘“Irish Stew’s cousin” but with pork as the main ingredient. 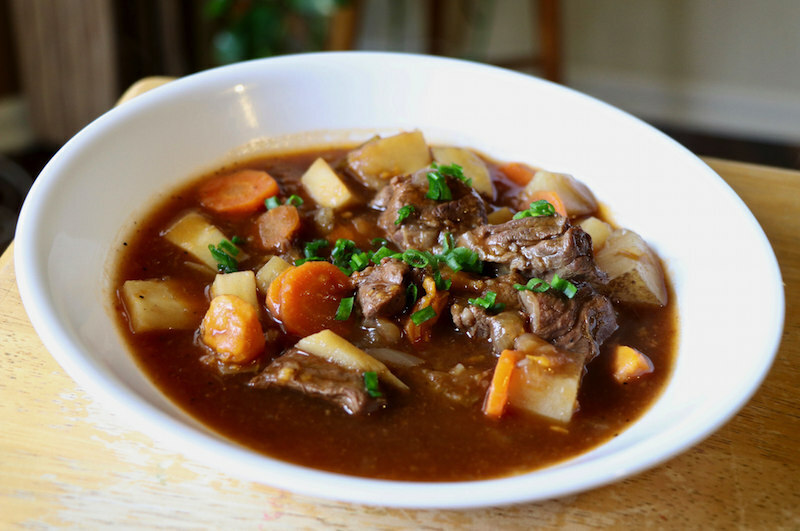 It also has carrots, potatoes, and onions but it is usually added with Ireland’s Guinness beer for a special and flavorful broth. Combine salt, pepper, and flour in a bowl. Add remaining ingredients, sit, and bring to a boil. Stir occasionally until meat is very tender. 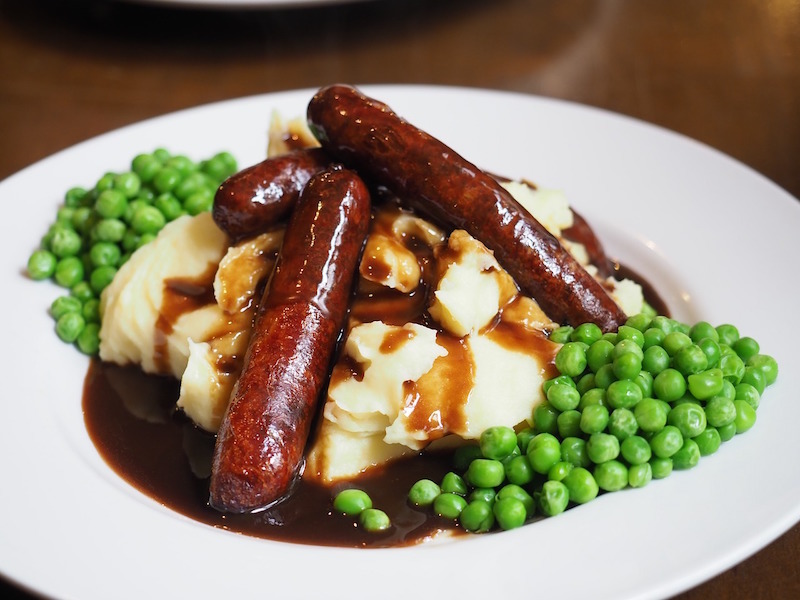 Bangers and Mash is a classic in the Irish cuisine. This easy to prepare dish works well with lamb, pork, or beef sausages. Prepare oven by preheating to 425 F.
Place a baking rack over a sheet pan and arrange 1 layer of sausages on the baking rack. Place the potatoes and 1 tbsp salt in a large saucepan. Add enough water to cover the potatoes. Bring to a boil then simmer for 20 to 25 minutes. Drain the water then add butter, creme fraiche, milk, Dijon mustard, whole-grain mustard, 1 tbsp salt, and pepper. Using a handheld mixer, beat potatoes in the pan until smooth and creamy. Serve by mounding the mashed potatoes and top with the sausages. 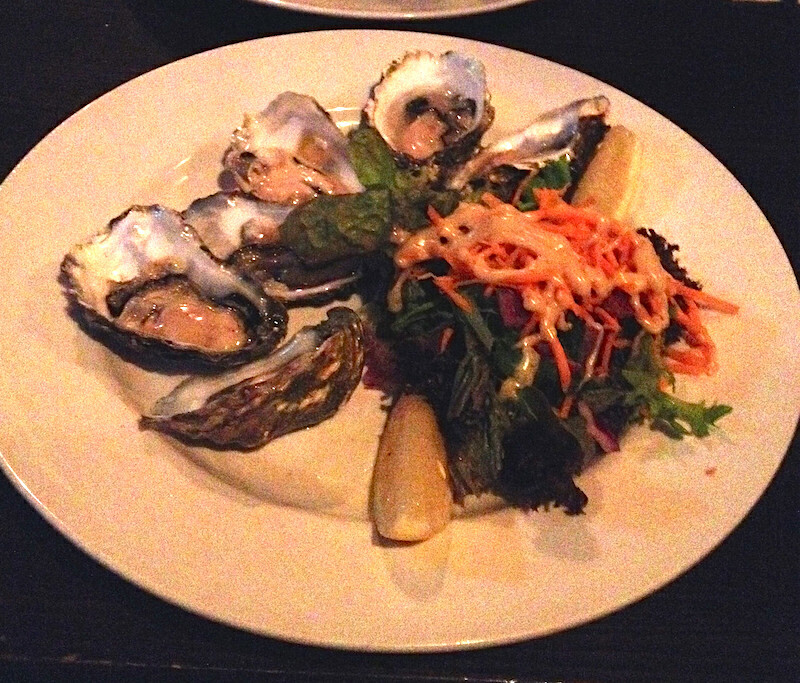 Thousands of tourists visit Ireland for the Oyster Festival and the Galway Oysters. But even if you’re not in time for the festival, you can try this recipe using these exceptionally large oysters from Galway. Once heated, add bacon and fry gently on its own fat. Add breadcrumbs and brown briefly. Mix Worcestershire sauce with the double cream. Pour the mixture on the oyster then top with bacon and breadcrumb. Grill until brown and crisp. This coddle has no specific recipe as long as it has potatoes, spices, and everything nice— usually from leftovers. Cut potatoes to smaller pieces. Grill the sausages and bacon but make sure not to dry them out. Layer onions, bacon, sausages, and potatoes in a large casserole dish. Season with parsley and pepper. Pour the boiled water then bring the liquid to a boil on a stove. Place inside an oven for 3 hours. Check liquid level after 2 hours and add more water if necessary. The name of the dish speaks a lot for itself. This meal used to be a good choice of food for peasants and farmers but now, it has become popular in Ireland where it is served in every table during St. Patrick’s Day. Saute carrots and onion then add meat. Add the sauce in a dish then pipe the mashed potatoes on top. 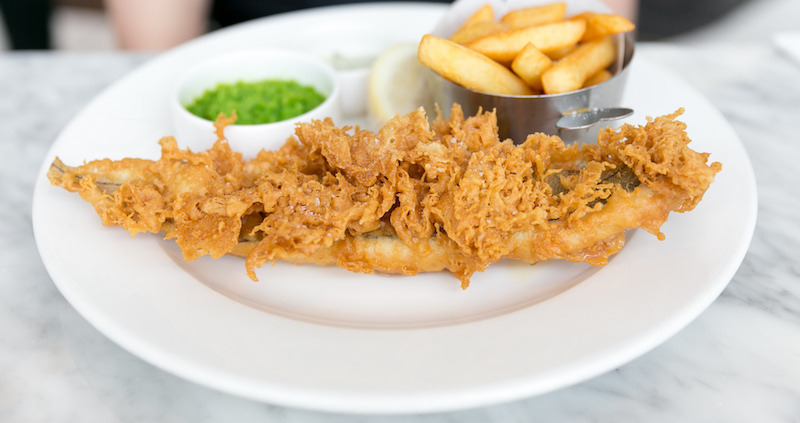 Mushy Peas are also every-foodie-in-Ireland’s favorite. It is usually paired with chips and fried battered fish or as a side dish to a nicely roasted lamb. After rinsing, pour peas in a large saucepan with a steaming basket and add ½ inch water to the bottom of the pan. Bring water to a boil and simmer for 10 minutes. Melt butter in the saucepan then add the tender peas and mash. Add the whipping cream and mix. Irish love potatoes and you can really tell since a lot of these traditional Irish foods have potatoes in the ingredients. 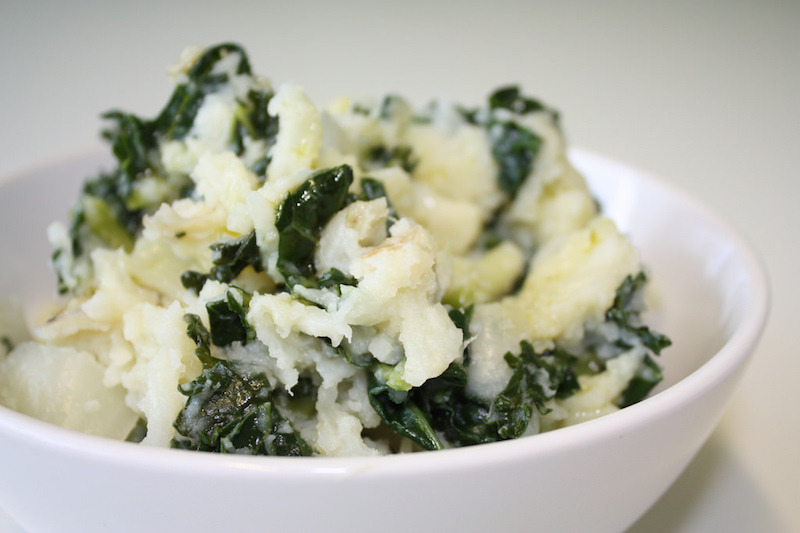 Colcannon is also one of these potato dishes mixed with green vegetables and creamy milk. Boil the potatoes for 15 to 20 minutes until fork tender. Set the pot to medium-high heat and cook the leafy green with butter for 3 to 4 minutes. Add the green onion to the pot and cook together for 1 minute. Pour milk to the pot then add the potatoes in medium heat. Mash the potato to mix them up with the green. 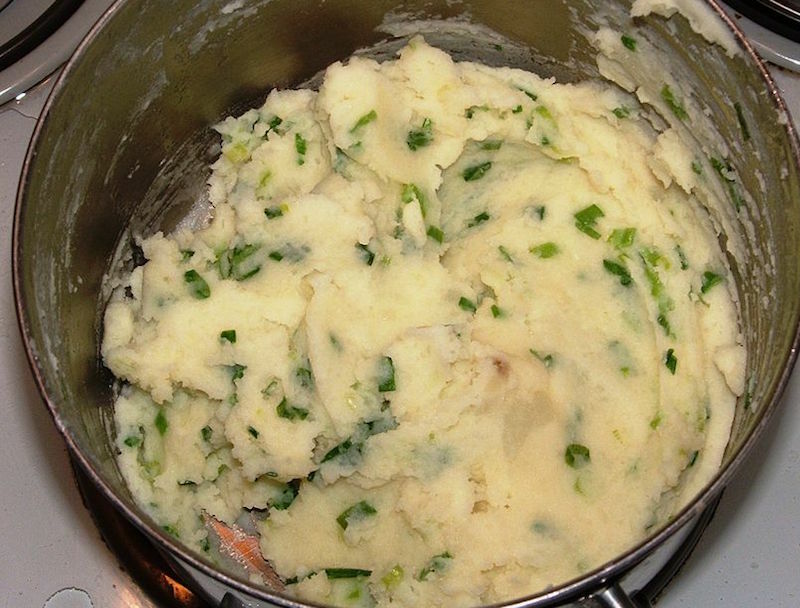 Irish Champ is yet another flavorful mashed potato dish popular in Ireland. 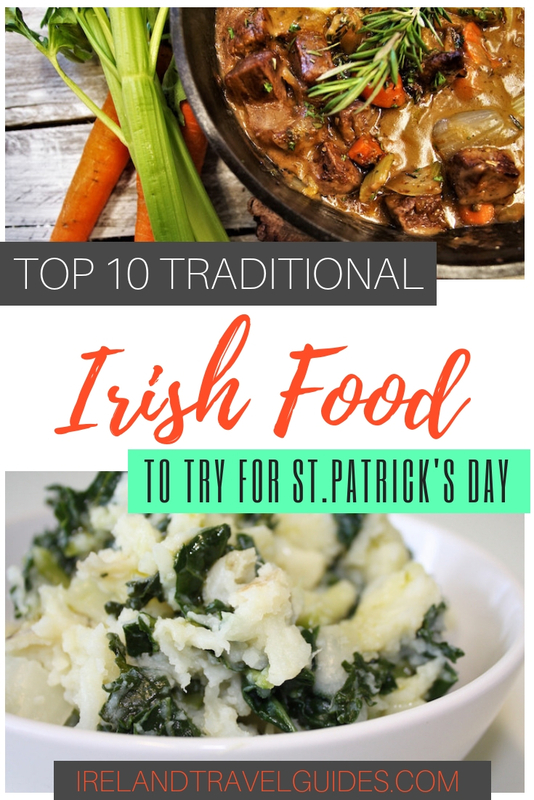 This tasty meal is another St. Patrick’s Day favorite and it is just easy to make. In salted water, simmer potatoes until cooked. Melt butter and add milk in the same pan. Mash potatoes in the pan until smooth and creamy. Aside from potatoes, cabbage is also one of the most popular vegetables in Ireland. This easy to make dish is also a must try. Take 1 cabbage leaf and place 3 slices of bacon and 1 tsp peppercorns in the center of the leaf. Fold the leaves inward over the bacon and secure with a cotton thread. Peel the leaves off the cabbage head and rinse with cold water. Add the leaves and the bacon and peppercorn packet in a large saucepan. Simmer for 20 minutes with low heat then drain the water. Add butter if desired then serve.